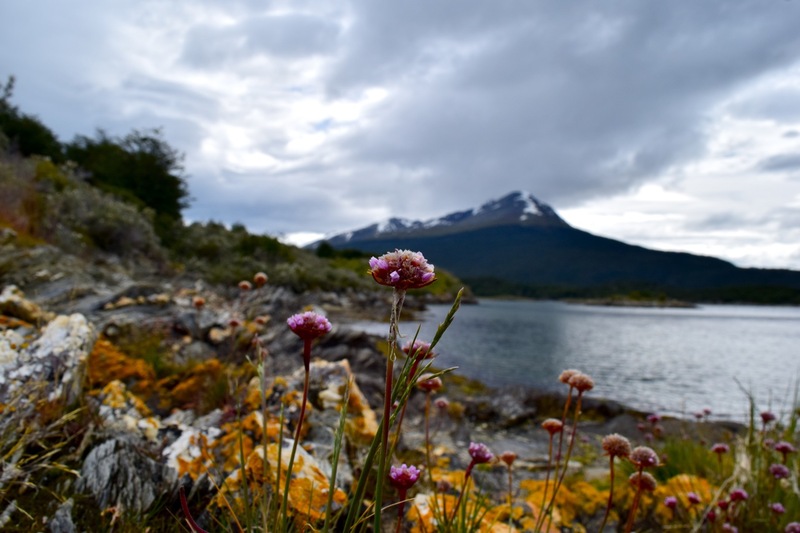 Tierra del Fuego is both harsh and beautifully desolate. When European explorers reached ‘the end of the world’ at Tierra del Fuego in the 1500s, they called it the ‘land of fire’ because they could see hundreds of little blazes on the coastline and believed the indigenous natives were waiting to ambush them. In fact, the people were just minding their own business. They were living in a pretty inhospitable place with a wind-chill factor that – as the Brits say – would freeze the balls off a brass monkey, yet they went around naked. Not surprisingly, they lit a lot of fires, including inside their wooden canoes while they were out fishing. With that in mind, it seemed rather churlish of us to complain about the cold. Jeez though, it was freezing. 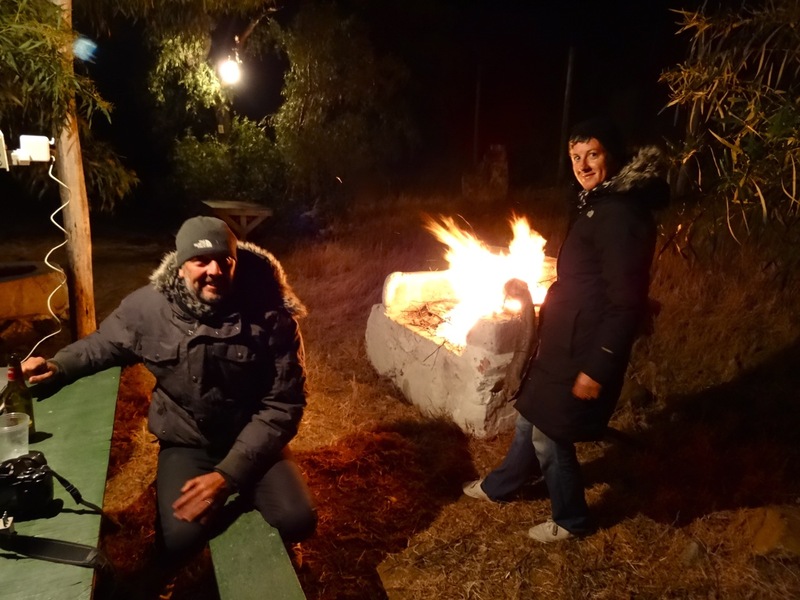 But we’d made it to Tierra del Fuego and absolutely nothing was going to piss on that bonfire. On leaving El Calafate last month (we are now back here again), our first quest had been to find somewhere to fill our propane tank. We headed to the industrial city of Rio Gallegos, where our Buenos Aires friend Gustavo is originally from. He hadn’t exactly over-sold Gallegos as an ideal holiday destination, and it felt as miserable, wet and windy as we’d expected. But on the sunny side, we did find the gas plant and they were at least able to partially fill the tank. The van feels kind of sad without the cooker, which is also a source of heat in the evenings, so it was relief all round when we pulled away from the factory and headed south again. Before long we were exiting the country and boarding the ferry to Tierra del Fuego, which is a series of islands split between Argentina and Chile. 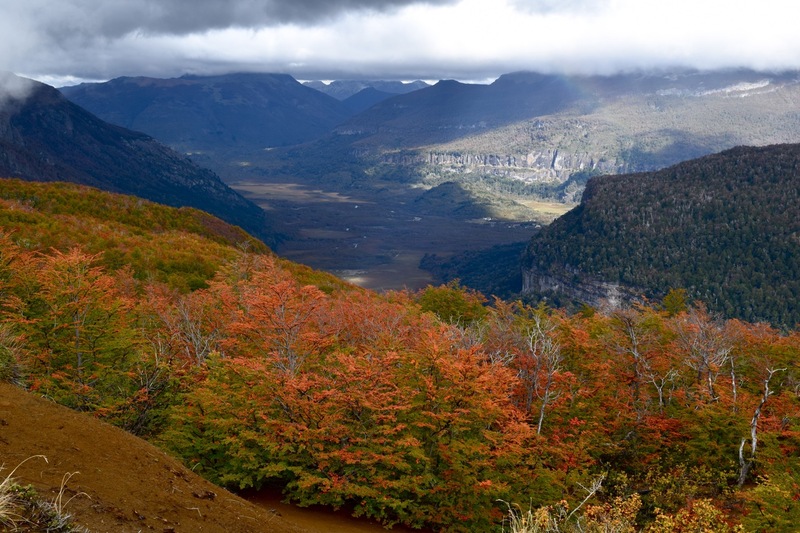 Colourful yet brooding – Tierra del Fuego National Park, Argentina. Given that we were arriving about a year later than we’d originally estimated, it might sound strange to say that suddenly it all felt like it was happening in a rush! 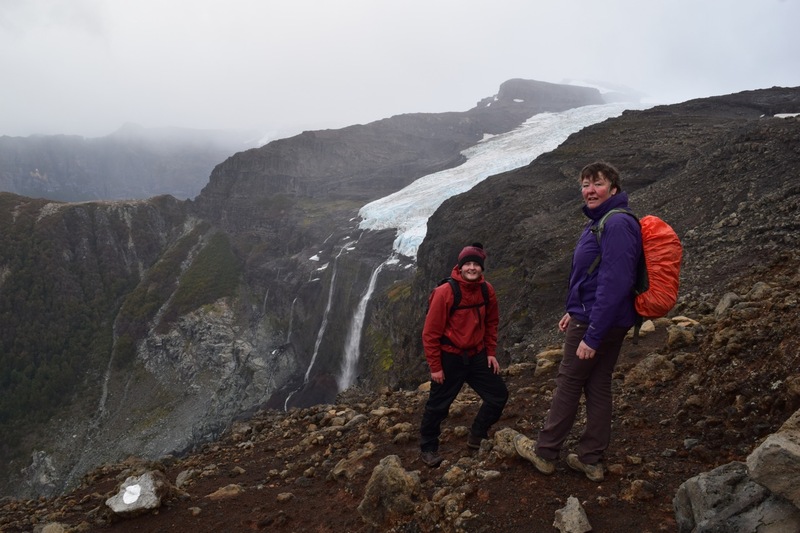 We so wanted to get there without anything going wrong, but at the same time we were aware that arriving might feel like the end of an era, and almost started to mentally drag our feet. Meanwhile, we had two separate superstitions going on. 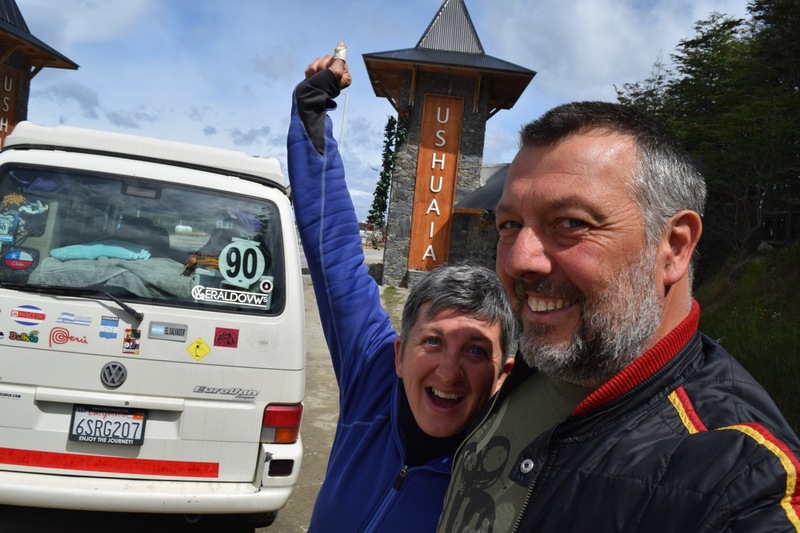 So with those cheerful, unspoken, thoughts we set off from the fabulous campsite in Tolhuin to very carefully drive the final 100km to the southernmost city in the world, Ushuaia. Big days such as these can sometimes turn out to be an anti-climax, so I was genuinely surprised that as we played Jeremy’s ‘end of the world’ playlist during the drive, we both got a bit choked up. It’s a cliche, but during the trip we really haven’t focused on our so-called destination. 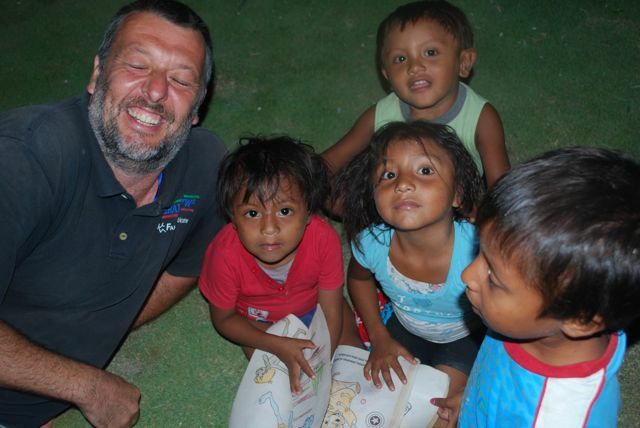 But during many months of uncertainty when our van was broken down in Ecuador, we realised it would matter to us if the chance to reach our goal was taken away. About 5km before the city, we both needed to pee. As we pulled over to a riverside parking area, a guy came running over to ask for our help. His jeep had become totally wedged in a muddy dip near the river, with its nose pointing upwards. We couldn’t get the van down there to pull him out, so tried a few other ways to get traction on his wheels, to no avail. What was really needed was a lot of weight on the front – he asked us to stand on the bumper while he tried to get it moving. It seemed a bit dangerous because if the car did lurch forwards into action, we’d have nothing to hold on to but fresh air. We climbed onto the bumper and bounced up and down while he cranked it, the tyres throwing mud about 10ft in the air. The bumper tactic was unsuccessful, but at least we were alive. He called his mate to come and drag him out, and we were out of there. Within a few minutes we turned a corner and there was Ushuaia, and we were jumping about and celebrating, which we briefly blogged about the day after we arrived. 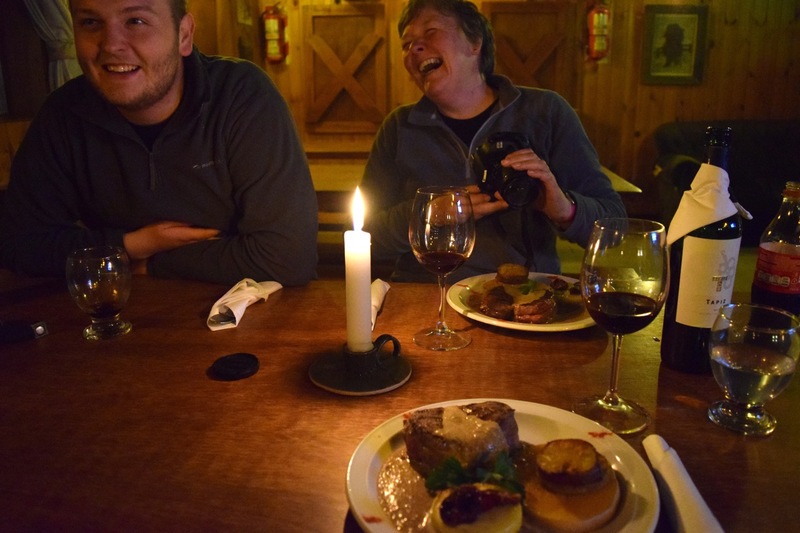 It was great to bump into our friends Rike and Martin that night, who helped us mark the moment with a few Cape Horn beers and some Patagonian lamb. 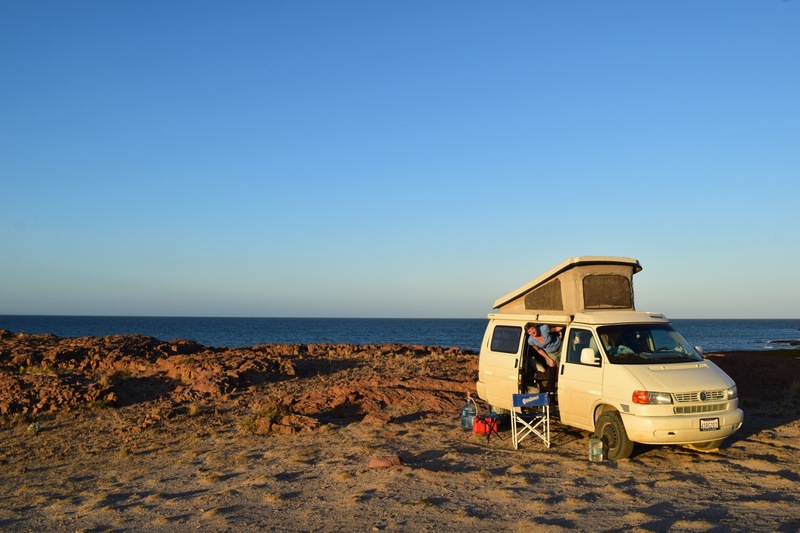 Within a few days we were also making new drinking buddies of Rebecca and Bruce, of Yellow Van Days – Brits who shipped a T4 van like ours from the UK and are at the beginning of their journey. Being a Brit in Argentina has caused no issues for us but there is, to say the least, a difficult relationship between our two countries. 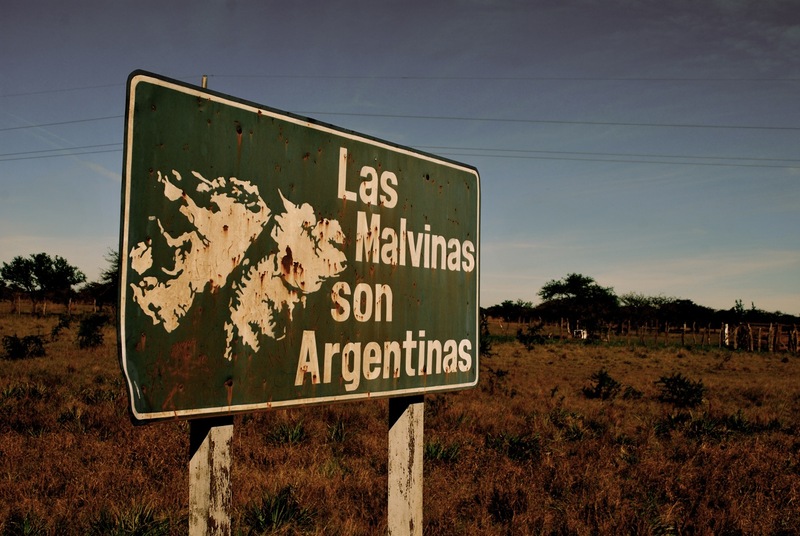 The Malvinas/Falklands dispute with Britain is a significant part of life all over Argentina, but it’s particularly noticeable in Tierra del Fuego – which considers itself to be part of the same region as the Malvinas. There are signs, monuments and references to the 1982 war with the UK all over the place. One notice at the dock quotes a local law banning “English pirates” who are there to plunder Argentina’s natural resources. It’s an ever-present topic for debate here, and it’s something we want to blog on later in more detail. From Ushuaia we spent a couple of days wandering in Tierra del Fuego national park, where some of the colours and landscapes – not to mention the wild weather – are reminiscent of Scotland. It’s in the park that the road actually ends for real, at Bahia Lapataia, about 20km south of Ushuaia. After that, you’re just staring across the Beagle Channel, towards the more remote islands of the archipelago and the Antarctic. Bahia Ensenada, Beagle Channel, Tierra del Fuego National Park. After a few days it was time to turn north. North! A new chapter was beginning, and it got off to a damn good start. We headed straight back into the Chilean part of Tierra del Fuego, towards one of the biggest wildlife ‘must sees’ on our list – a relatively new King penguin colony south of Porvenir. It doesn’t open til 11am but, like keen little penguin nerds, we slept outside the gate the night before, alongside another two campers. At 8am the next day, the park guard knocked on our door and asked if we’d like to go in before opening – a film crew was there and they wanted some foreign tourists wandering around in the background. We were out of the van like a shot. 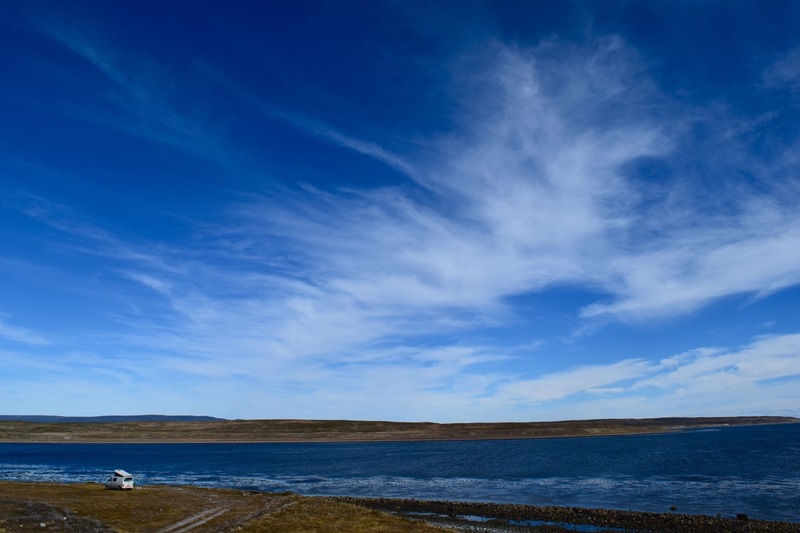 To spend more than two hours watching the penguins reflected in the water under a blue sky, with hardly another soul around, felt like a massive privilege. These chaps are amazing. Being royalty and all that, they’re not so silly and clumsy as the proletariat penguins, with their daft antics and lack of balance. Oh no, they do a lot of dignified standing around, looking like they feel rather important. Is that me in there? King penguin looks in the mirror, Bahia Inutil, Chilean Tierra del Fuego. King penguins, Bahia Inutil, Chilean Tierra del Fuego. 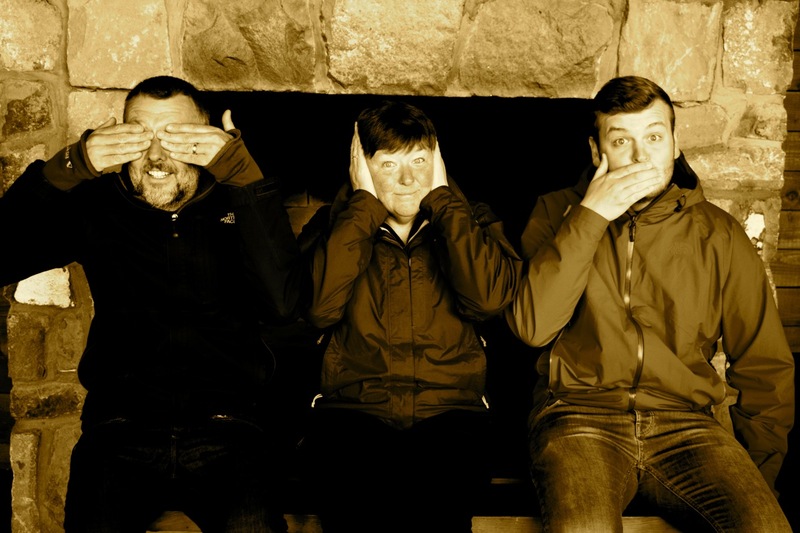 We three Kings…. penguins at Bahia Inutil, Chilean Tierra del Fuego. As if the day wasn’t quite going well enough, in the late morning a little furry head appeared on the bank about 100 metres away. It looked like an otter at first, then someone pointed out it was a tiny baby sea lion. We couldn’t believe our luck when the wee guy then plopped into the water and started making a beeline for where we were standing. 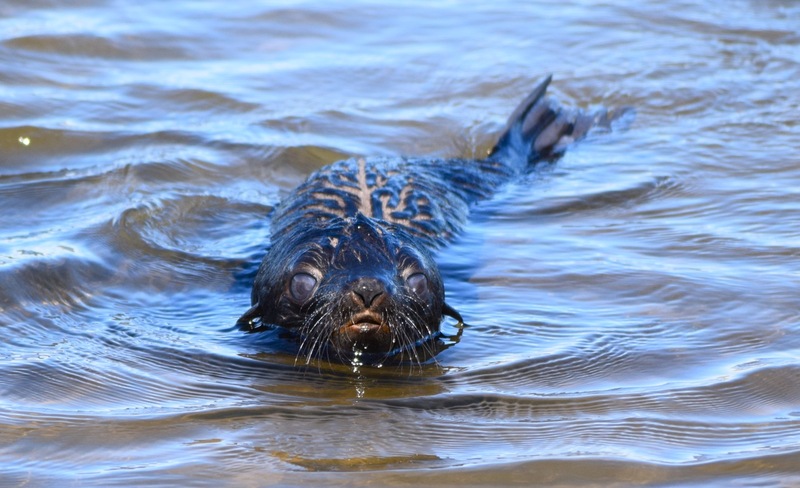 A baby sea lion pops up to say hello, Bahia Inutil, Chilean Tierra del Fuego. We all held our breaths. Did he realise we were there? Yes, he clearly did – not only that, but he put on a show for a good 20 minutes, posing this way and that, even doing a back-bend at one point and looking at us upside down with his big milky round eyes. Striking a pose – this baby sea lion was really turning it on for the cameras. The park guard explained that he was three weeks old, and spent all day alone while his mother was out hunting for food. Perhaps he was just lonely?! Exhausted from his performance, he flaked out on the bank and took a nap at our feet. We were tickled pink as we drove off towards Porvenir. Not only had we seen amazing wildlife, but it was the first properly summery day we’d had in ages and we were basking in it. As we approached Bahia Chilota, we were hoping to see some more dolphins. Just as we turned into the bay, a whole group of Peale’s dolphins started somersaulting and racing along in the water in front of us, their white bellies glistening in the sun. Let me say again, we couldn’t believe it. 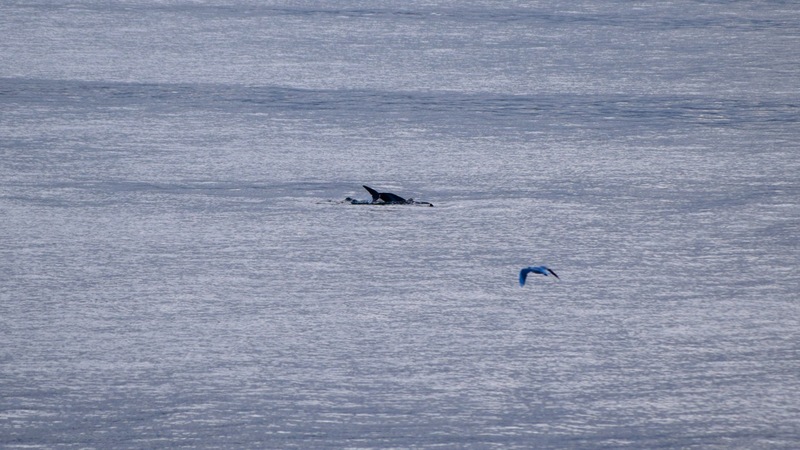 A Peale’s dolphin does a back-flip, Bahia Chilota, Porvenir, Chilean Tierra del Fuego. We decided to drive out to a lighthouse just beyond the town, and there found the most incredible free-camping spot overlooking the bay. Great free-camping spot at the lighthouse, Porvenir, Chilean Tierra del Fuego. The dolphins continued to put on a show, especially when a ferry passed and they went nuts with excitement, leaping in front of the bow and always seeming to just miss a collision by inches. For the first time in ages, we ate dinner outside, the sun still warming our necks well after 9pm. We knew it was going to be a cracking sunset – all we had to do was try to stay awake til then! One of the many joys of this part of the world – as in the north of Britain – are the sunsets that come as late as 11pm. It truly was a perfect day, the blazing skies providing an ideal end to our trip to the land of fire. Sunset, Porvenir, Chilean Tierra del Fuego. Things we now know to be true: Perseverance pays off. Group walkies, Ushuaia, Tierra del Fuego. Getting off the ferry in (Chilean) Tierra del Fuego. Whoop! In a few hours camping at the fabulous Camping Hain in Tolhuin, we had sleet, sun, and lots of wind. Jeremy celebrates arriving in Ushuaia with a Cape Horn beer. The Magellanic Flightless Steamer Ducks just run along the water! Tierra del Fuego National Park, Argentina. A rare few hours of warmth at the beach, Bahia Ensenada, Tierra del Fuego National Park. 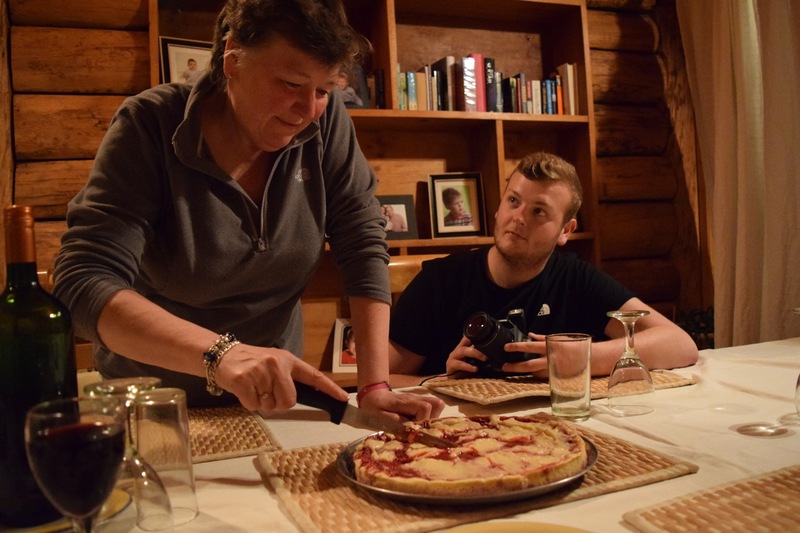 Cooking in the kitchen in Tolhuin – it was bloody freezing! Jeremy takes a moment to contemplate the end of the world, looking out at the Beagle Channel, Bahia Ensenada, Tierra del Fuego National Park. Post office ‘fin del mundo”, Bahia Ensenada, Beagle Channel, Tierra del Fuego National Park. Celebratory drinks in Ushuaia with Rike and Martin. A little toy-town ‘fin del mundo’ train operates in Tierra del Fuego National Park. Magellanic Flightless Steamer Duck, Tierra del Fuego National Park, Argentina. Beavers were introduced to Tierra del Fuego in the 1940s (for fur trading) and have since wreaked havoc, destroying massive numbers of trees to build their dams. Magellanic Flightless Steamer Duck stretches its wing but goes nowhere. Tierra del Fuego National Park, Argentina. It was pretty windy and cold at times in Tierra del Fuego, so Jeremy grew some extra facial hair. And bend, and stretch… King penguins, Bahia Inutil, Chilean Tierra del Fuego. Editing photos in the van, Tierra del Fuego. The wind in Ushuaia was sometimes so ferocious we could hardy stand up. English pirate ships prohibited from mooring, says this sign in Ushuaia, where feelings run very high over the disputed Las Malvinas islands. Dusty old roads in the Chilean part of Tierra del Fuego. King penguins coming back from the beach, Bahia Inutil, Chilean Tierra del Fuego. 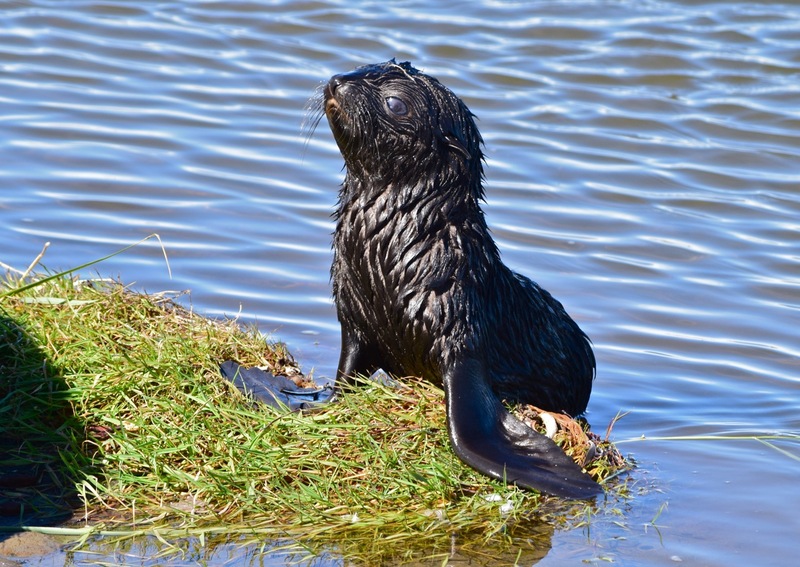 Baby sea lion has a little scratch, Bahia Inutil, Chilean Tierra del Fuego. King penguins, Bahua Inutil, Chilean Tierra del Fuego. King penguin, Bahua Inutil, Chilean Tierra del Fuego. A king penguin goes in for a dip, Bahia Inutil, Chilean Tierra del Fuego. King penguin, Bahia Inutil, Chilean Tierra del Fuego. Impossibly cute, three-week-old sea lion, Bahia Inutil, Chilean Tierra del Fuego. After showing off for a while, the baby sea lion flakes out for a nap at our feet. Estancia, Onaisin, Chilean Tierra del Fuego. 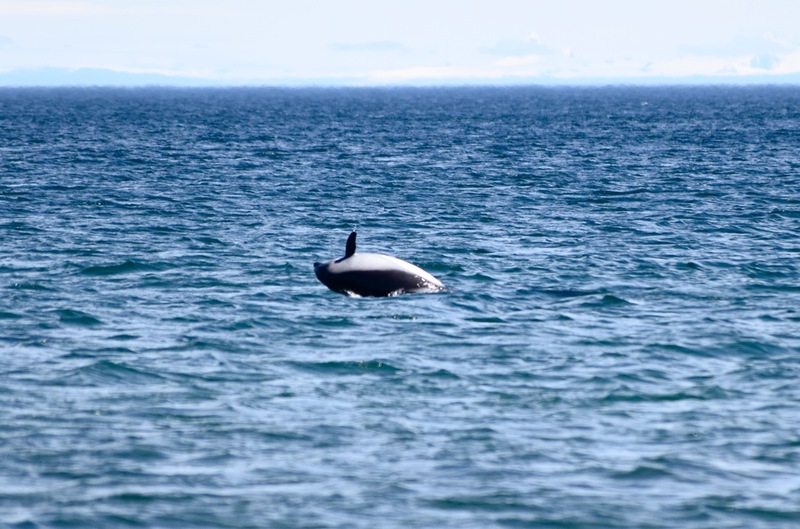 The Peale’s dolphins were going crazy in the water when we got to Bahia Chilota, Porvenir, Chile. A Guanaco leaps the fence, Tierra del Fuego. 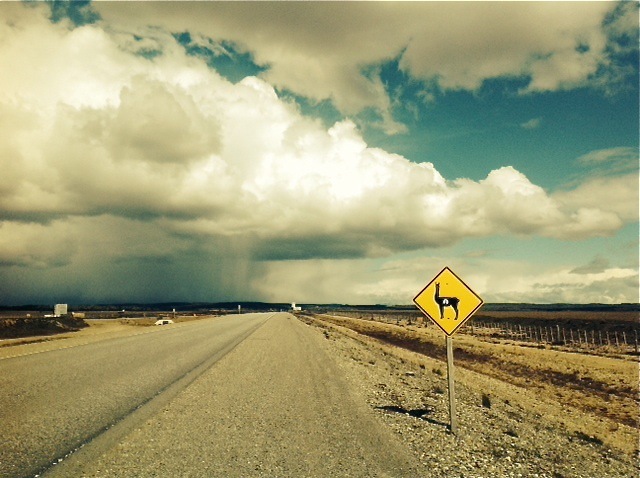 View from the drive to Porvenir, Chilean Tierra del Fuego. Fishing boats, Porvenir, Chilean Tierra del Fuego. Che has ridden on the dashboard since the beginning. 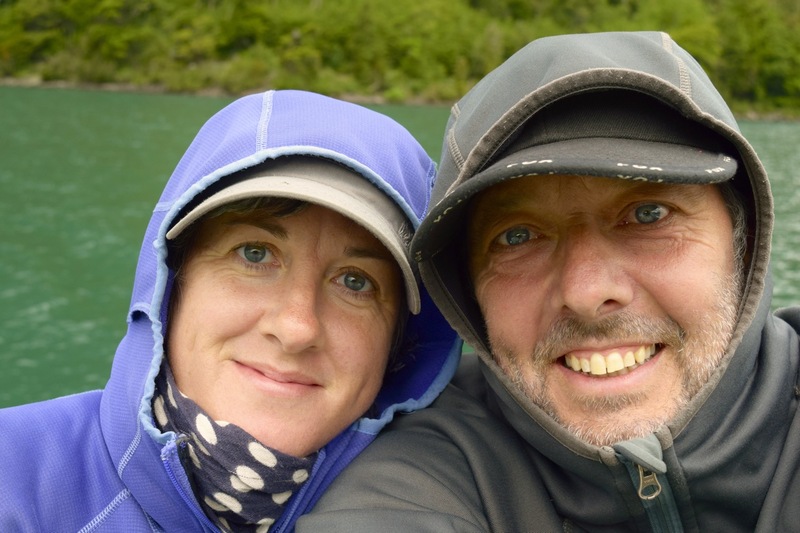 Last week we blogged ‘live’ from our arrival in Ushuaia, Tierra del Fuego. But there’s still some catching up to do about the places we visited on the way here, over the last month. Here’s a flashback to Chiloé, Chile, in December. In these chillier climes, there are few things that can drive us out of bed at sunrise. But given that we were in one of the most stunning parts of the Chilean island of Chiloé, where the mist hangs on the river at dawn, where the waters are teeming with birdlife, and where the best way to enjoy it is to drag your sorry buttocks outside while the day is young, we were prepared to make some exceptions. Moreover, we’d again been blessed with some atypically fabulous weather, so it seemed like a good time to once more embrace our inner outdoorsy. 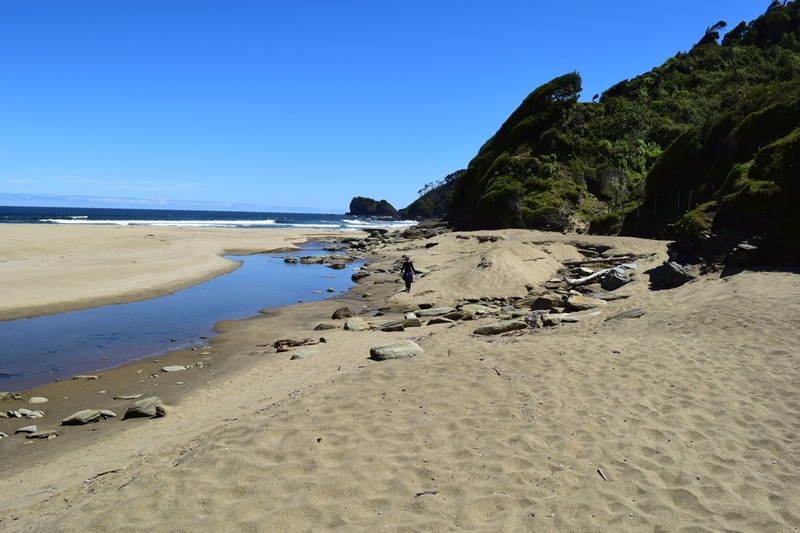 We’d made our base in rural Chepu, where an exceedingly friendly couple had allowed us to camp on their land and helped us arrange some water-based activities in the area. They had a prime hilltop spot, from which we had an amazing view of the river from the van. On day one the water was deathly still as we took a boat across the river to a trailhead that lead to a penguin colony at Parque Ahuenco. On the way we saw kingfishers subduing their relatively large prey by thrashing around on a branch, knocking the fish senseless before swallowing it whole. 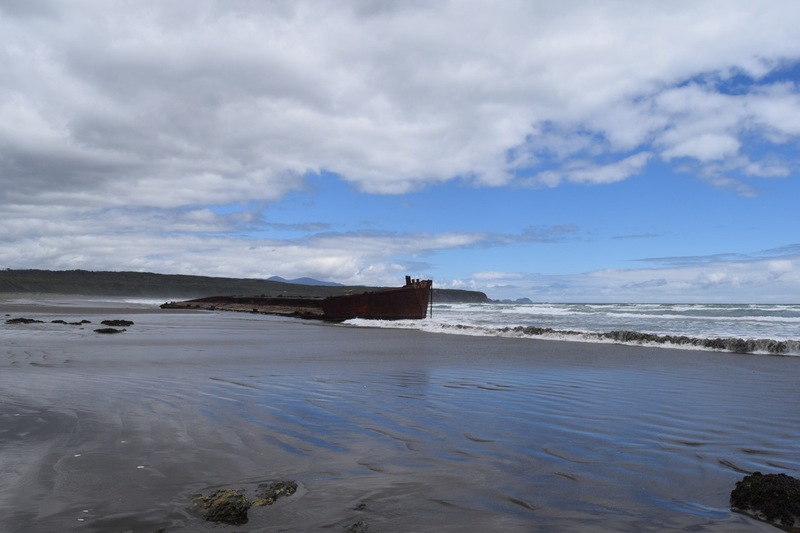 The five-hour hike passed long stretches of wild beach and peaceful forest, taking us past a massive beached shipwreck. With it still being low season, we only saw one other person (a park employee) all day. We couldn’t have felt luckier to be able to spend an hour watching the penguins without another soul in sight. 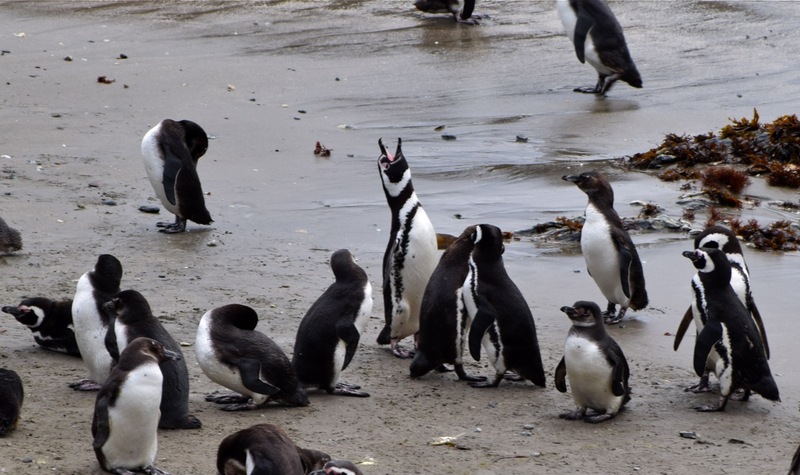 From a little viewing area about 50 metres from their colony, we were basically treated to a free slapstick comedy show. The thing about penguins is that when they’re not in the water, they really are a bit rubbish. They can’t fly and they can’t walk very well either. They trip and fall over – a lot. And that just never stops being hilarious. We watched them huddling for little conflabs, chattering to each other, kissing, throwing their heads back and honking loudly, and playing in the water. They would climb on the rocks then slip and fall on the way down. Oops! Sometimes they would fall while just walking along on flat sand, landing on their protruding bellies and bouncing back up to carry on as if nothing had happened. Oops! As I said, it just never gets old. 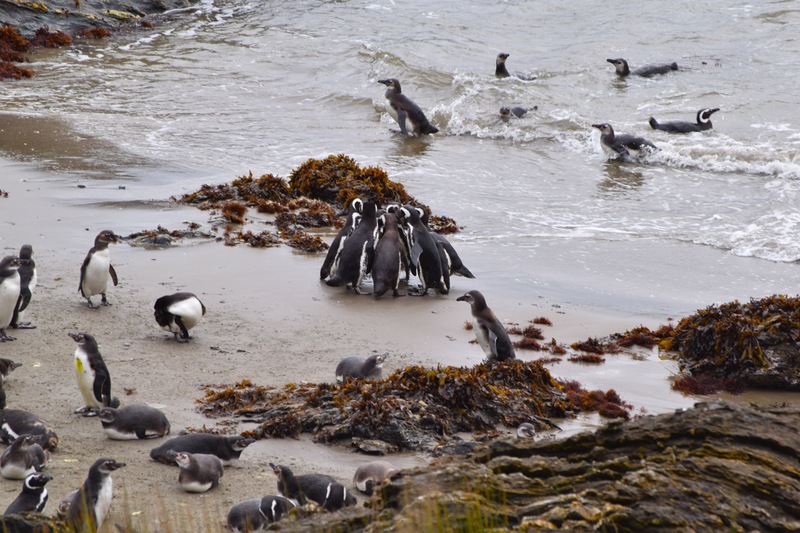 Penguins huddle for a conflab, Parque Ahuenco, Chiloé. We left very reluctantly, tearing ourselves away because it’s only possible to enter and exit the colony at low tide, and we were running of out time. The following day we took a longer boat ride along the Rio Chepu to Laguna Coluco. 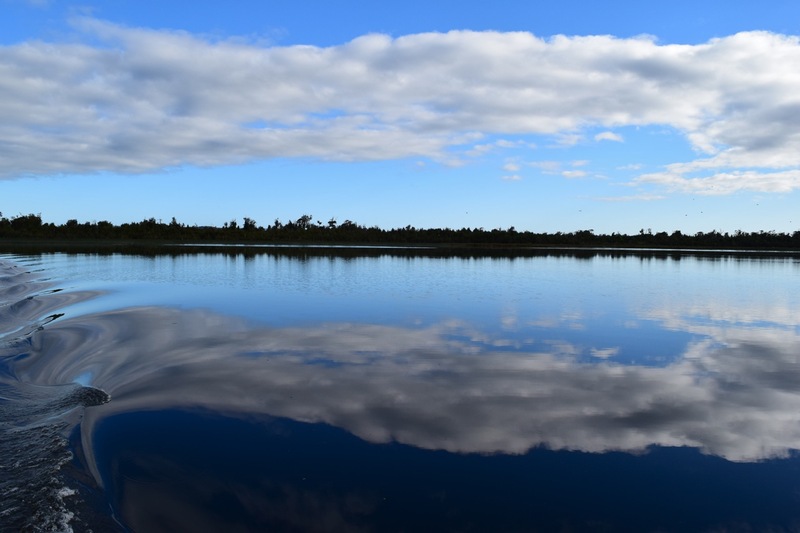 The glassy early-morning water gave off some incredible reflections. En route we passed through an enormous colony of nesting gulls (gaviotas cahuil, or brown-hooded gulls) who migrate to Chiloé from the north every summer. Hundreds flew overhead as we quietly puttered along, and were constantly swooping in among the reeds where they were nesting. They made a big commotion and often flew uncomfortably close to us, by way of protecting the eggs and fluffy brown chicks that were secreted nearby. Brown-hooded gulls (gaviota cahuil) migrate to Chiloé for summer, and nest in reeds on the rivers. 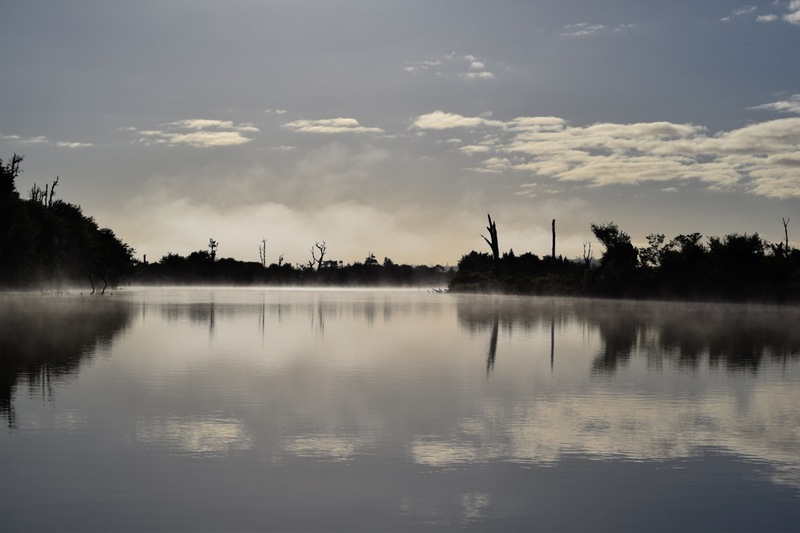 Boat trips around Chepu have an additional fascination, in that they pass through a blackened, sunken forest that lends a creepy air to the misty reflections on the water. 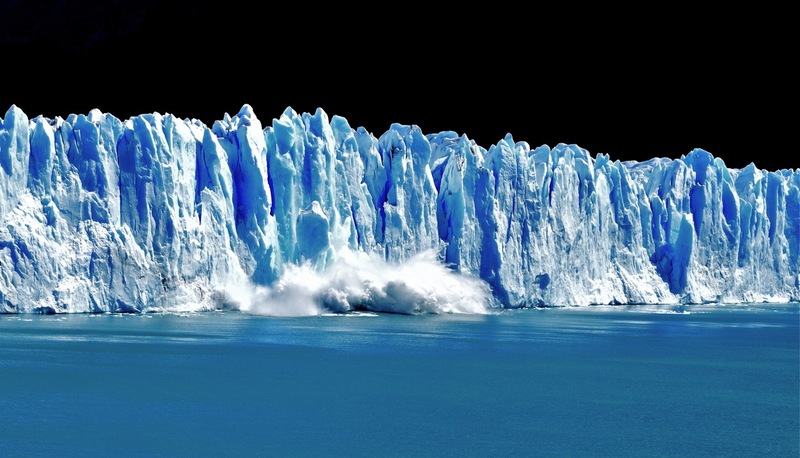 The valley was flooded after the 9.5-magnitude Chilean earthquake and tsunami of 1960 – the largest recorded quake of the 20th century – leaving huge sections of forest drowned in salt water. On day three Jeremy opted for a lie-in, while I headed off on a kayak, which I’d been hankering to do for a while. 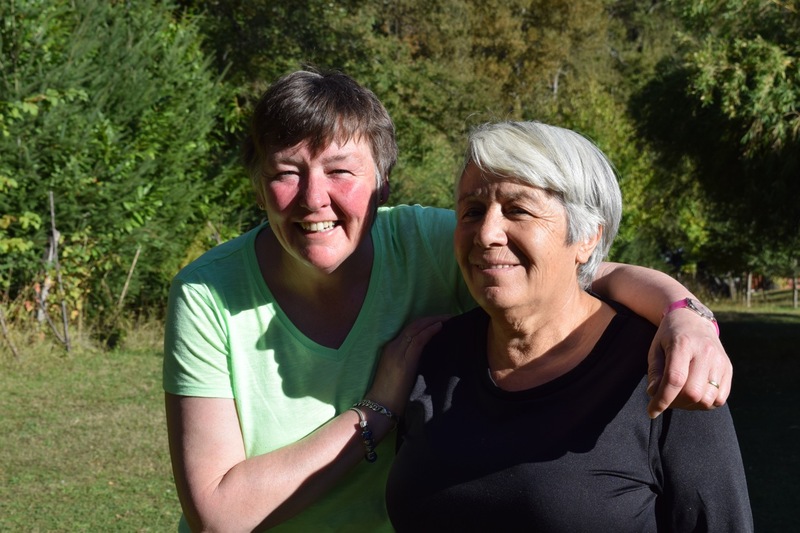 Having found a pal to go with – a Norwegian woman whose husband was equally unmoved by kayaking – we set off early and pushed our boat into the misty river. It was so tranquil we felt compelled to talk only in whispers. 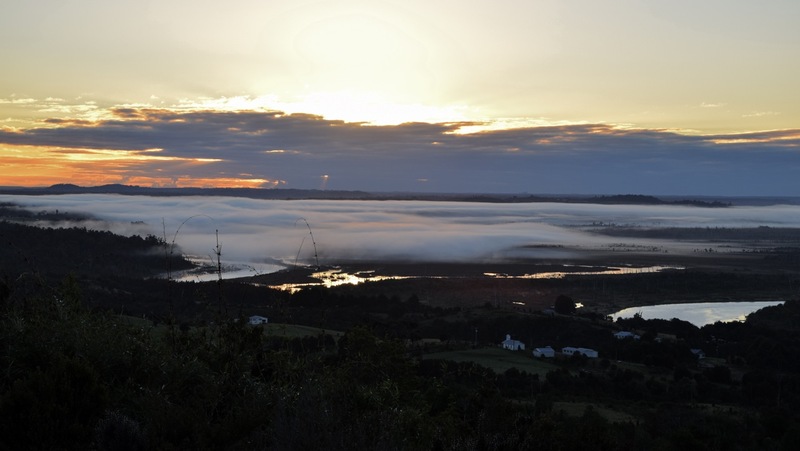 We had been drawn to Chiloé for all sorts of reasons. 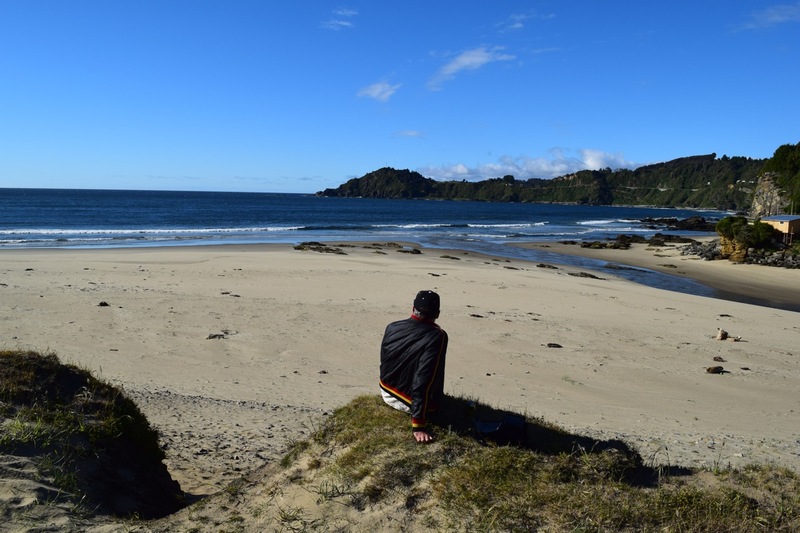 Islands so often have a cultural identity that is ferociously independent, almost rebellious against the nations they inhabit, and Chiloé is no exception. And while modern life has very much arrived here, there remains a rugged feel, where fishing still dominates, ancient traditions and beliefs endure, and community is all. 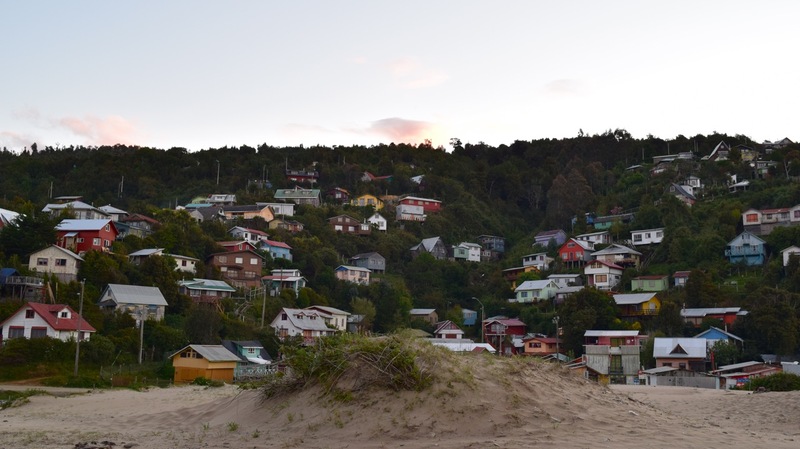 Chiloé’s famous wood-shingled architecture – including colourful ‘palafito’ homes which are raised on stilts, and a wealth of UNESCO-acclaimed churches – has probably become its most famous ‘brand’. 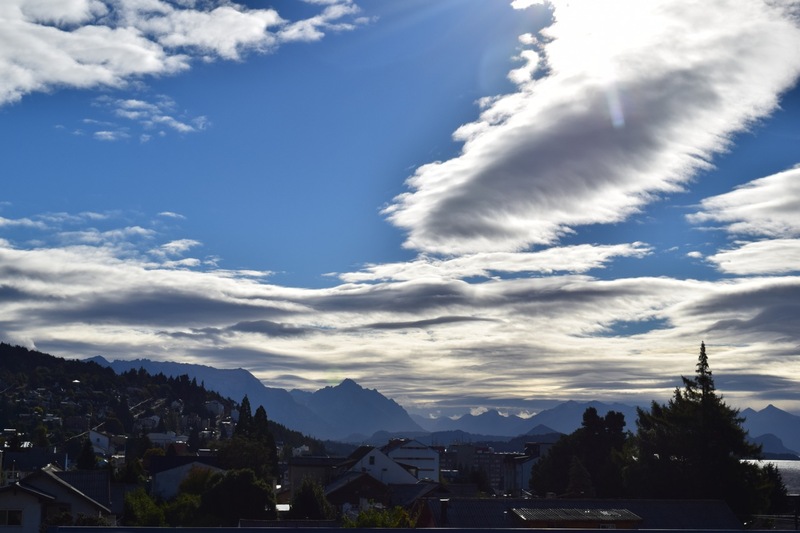 While most remain simple family homes, smoke puffing all day from wood stoves used for cooking and heating, streets in towns like Castro have been given the shabby-chic treatment, with old houses turned into boutique hotels and organic cafes. 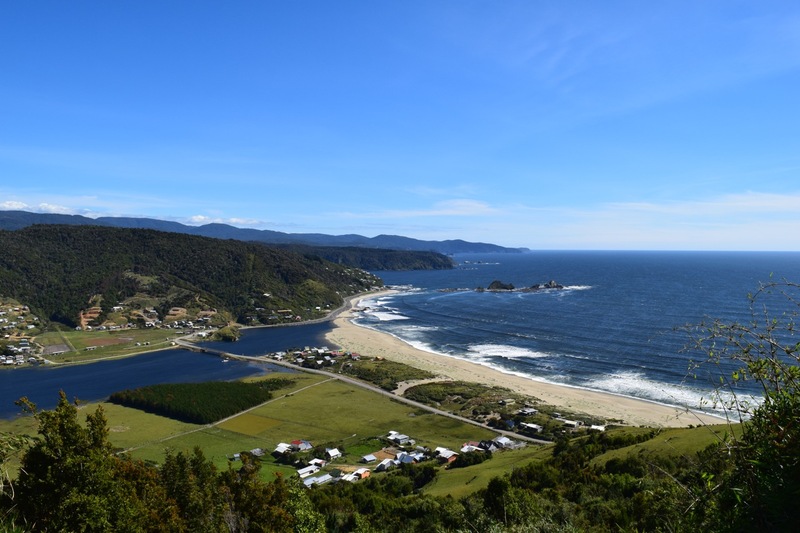 After leaving Chepu we spent a few days exploring the towns and villages of the northern half of the island, including a trip to sleepy Isla Quinchao – one of many islands in the Chiloé archipelago – and a few peaceful days walking in the national park. Palafitos (stilt houses), Castro, Chiloé – playing around with the special effects on my camera. Lots of the houses on Chiloé are colourful and interesting. 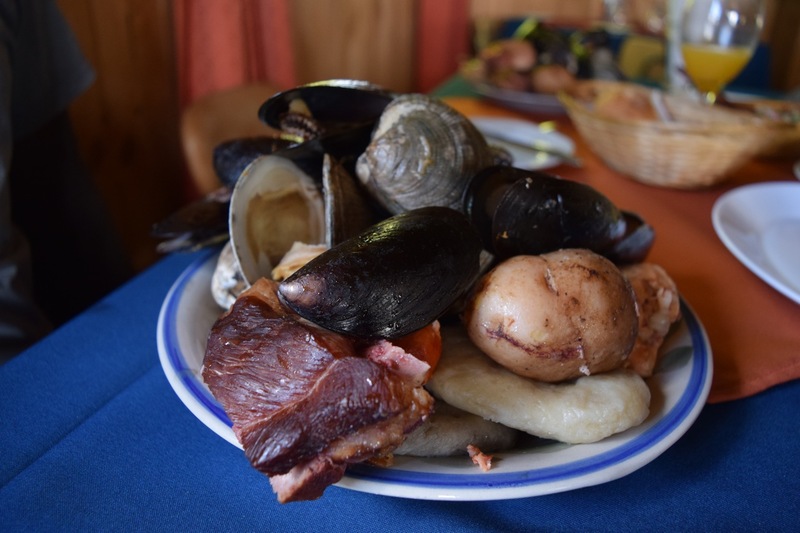 During our nine days there, we ate out for lunch more frequently than we had done in a long time, not least because we were so thrilled about the abundance of fish and seafood and the chance to sample some distinctive local cuisine. We slurped shellfish soups and casseroles, chowed through Chilote ‘milcao’ (a dense, usually steamed, potato cake that’s often stuffed with pork fat) and got very excited about having ‘real’ fish and chips again. Paila de mariscos, Chiloe, Chile. 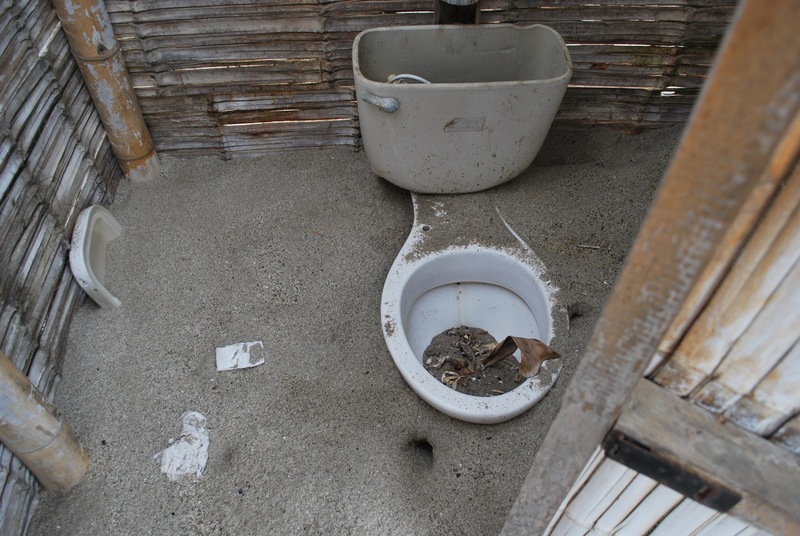 But the star of the show was Chiloé’s famous dish, curanto. We do love a challenge, and curanto is a pulse-racingly giant platter of food that – following two attempts – only one of us ever managed to complete. It’s a protein overload of giant mussels and clams, smoked pork belly, chicken, chorizo, potato and two types of milcao. In case you haven’t had enough food, or salt, a cup of strong broth is served on the side. Curanto is a pulse-raising platter of giant mussels, clams, smoked pork, chorizo, chicken, potato, and two types of ‘milcao’ (dense potato cake). A cup of salty broth is served on the side. The traditional way to cook curanto is similar to old-style Polynesian methods, involving burying the food in a shallow earth ‘oven’ of hot stones, leaves and damp cloths. It’s still used on some occasions but these days many people do the curanto in a large pot, which still follows the same method of tightly layering the food and slowly steaming it. 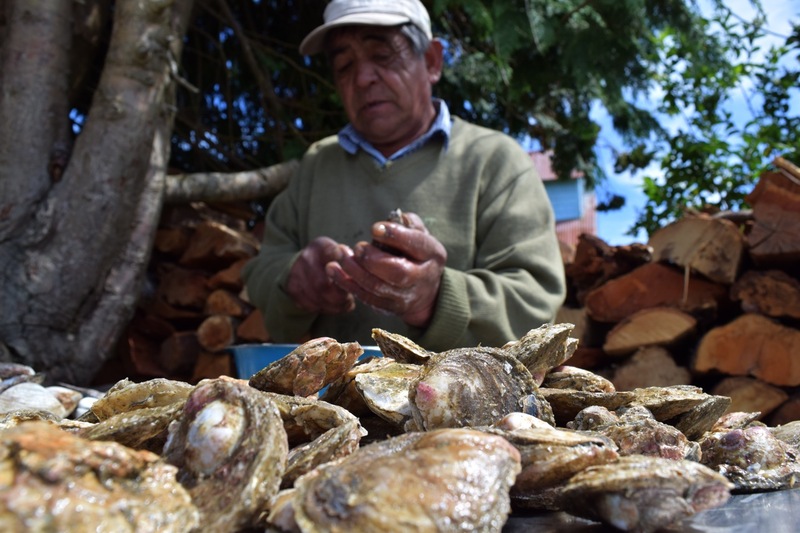 In the village Quetalmahue, we asked if we could watch some of the pre-Sunday lunch preparation at one of Chiloé’s well-known curanto restaurants. On the way there we’d picked up two German hitchhikers, Rafael and Annali, and the four of us made polite faces as we were offered some raw oysters to sample. My previous memories of oysters were dominated by a sensation of gulping down seawater. I hoped I wouldn’t gag as it went down, but luckily these were delicious! When we returned north to Ancud, the weather turned a bit colder and wetter. 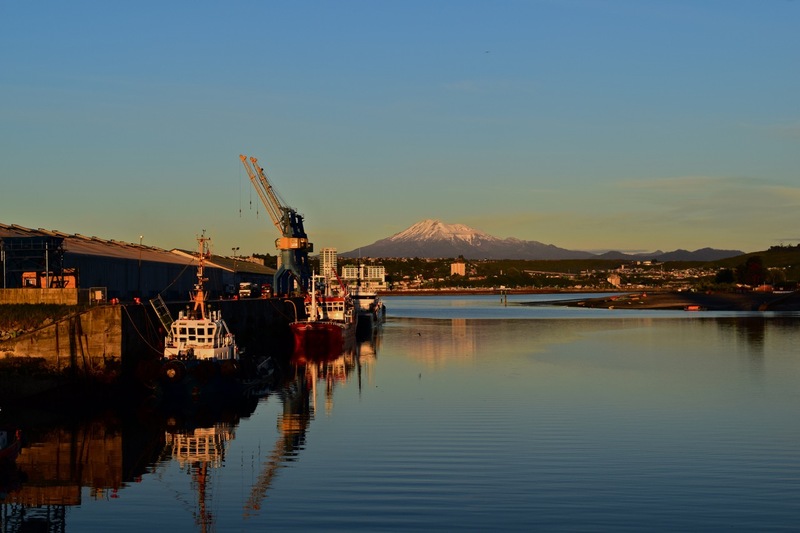 We’d booked a ferry from Puerto Montt to the small Chilean port of Chaiten, for a couple of days before Christmas. 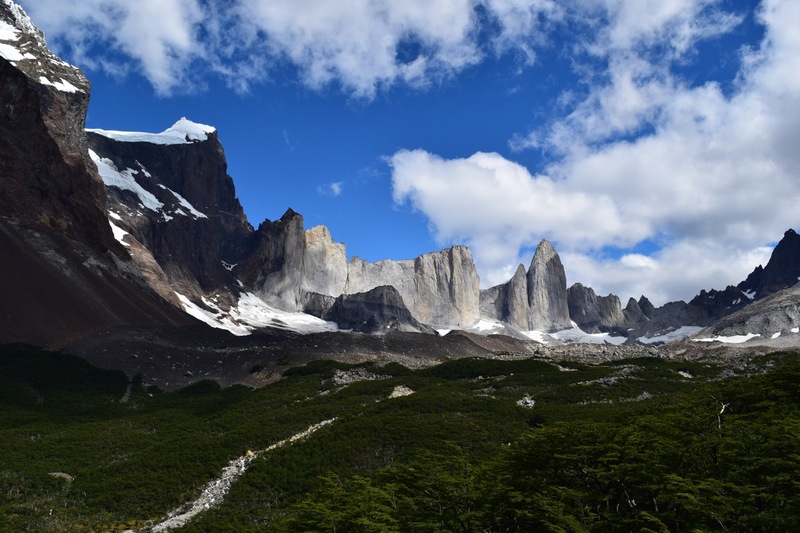 But we’d been continually changing our minds about what route we wanted to take after that – more of Chile or back into Argentina? We headed to Puerto Montt and spent the day pottering around before our 10-hour overnight ferry journey. As there was no point in going to a campsite, the day included spending a long time sitting in the car looking out to sea and eating snacks. During our time around Osorno and in Chiloé we hadn’t spotted any of the promised dolphins, so were delighted to witness several large groups playing in the shallow waters right in front of the van. Dolphins playing in the water, Puerto Montt, Chile. So distracted were we by the dolphins, that we failed to notice a robbery directly across the road from the back of the van. The first we knew of it was when a family of Brazilian tourists started yelling, screaming and crying. Their car window had been smashed and all their luggage taken from a restaurant car park while they were inside having a meal. They came to ask us if we’d seen anything. “Not a thing! We were watching the dolphins, honest!” we protested. We felt terrible. Also, it seemed so unlikely that we wouldn’t have noticed this happening a few feet away, that we felt a little bit under suspicion. 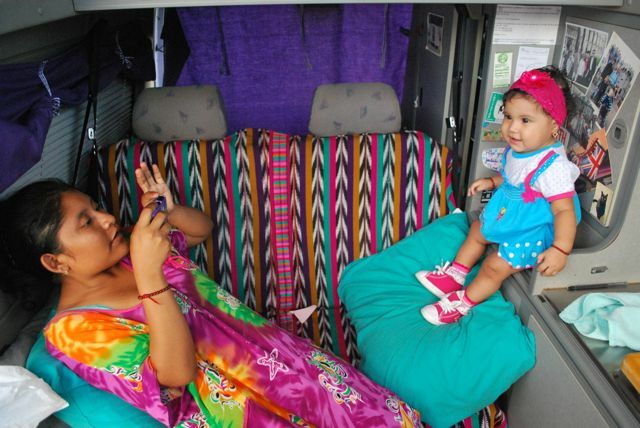 They kept finding reasons to come back and ask more questions, while furtively looking around and inside our van. To steal four suitcases and then sit there with them in our parked car would have been audacious to say the least, but we understood their distress – losing all their stuff just two days before Christmas – so let them quietly look while saying nothing. We eventually headed off to the ferry, and enjoyed the lovely evening with a drink on the deck. Sunset from the ferry in Puerto Montt, before we left for Chaiten. The night was spent on uncomfortable chairs, while two lumpen pre-teens played football in the space directly front of us (under instruction from their dad), which we’d naively assumed was meant for our legs. The family had also arrived with a remote-controlled helicopter for the children to play with. A friendly note to parents: toy helicopter + confined space + a few hundred people trying to sleep = high chance your child could be thrown overboard by a mysterious stranger. We quietly chuckled to each other when they couldn’t get it to work. Bah humbug indeed! We docked in the morning, amid low grey skies and relentless drizzle. All the passengers lined up to disembark, while their relatives waved frantically from the dock, excited about the start of the Christmas holiday. It was then that the ferry staff announced there would be a two hour delay in getting off because the tide was too low to get the ramp down onto the jetty. This appeared to be a surprise. No one protested, and we all shuffled back into the salon, which by now stank of the morning breath of 200 unwashed passengers. As we waited we wondered why a ferry company would have no prior knowledge of the tides! Talking of bah humbug, we’d made no particular plans for Christmas, deciding it wasn’t important enough to particularly alter our route. Having said that, when we finally disembarked and drove into the thick mist, it confirmed something we’d been suspecting for a few days – we didn’t really fancy Christmas on a dirt road in the rain. 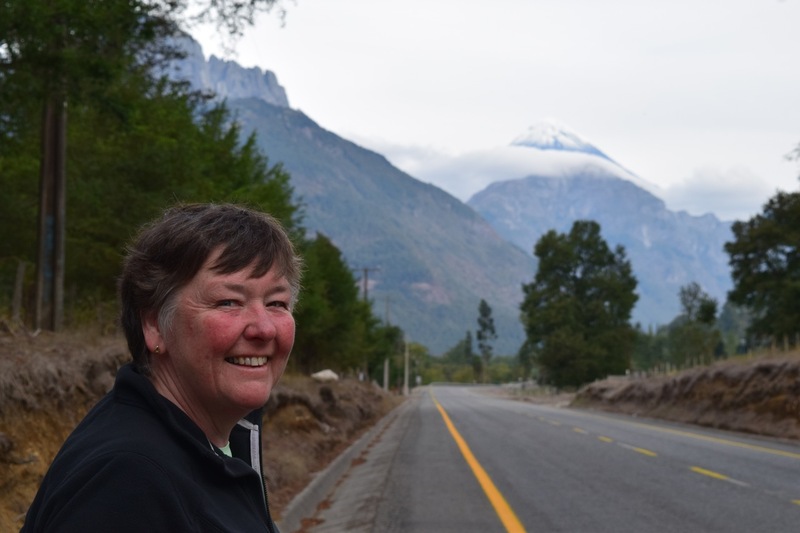 We’d loved our detour into Chile but felt an inexplicable pull back towards Argentina. We never really had a pre-planned route for this journey. Sometimes these decisions are made in the mood of the moment, with weather often being a major factor. Maybe it would be sunny on the other side of the border?! Maybe we could barbeque a steak?! Maybe there would be unicorns and rainbows in our Christmas stockings?! With that, we turned east and headed for the border. 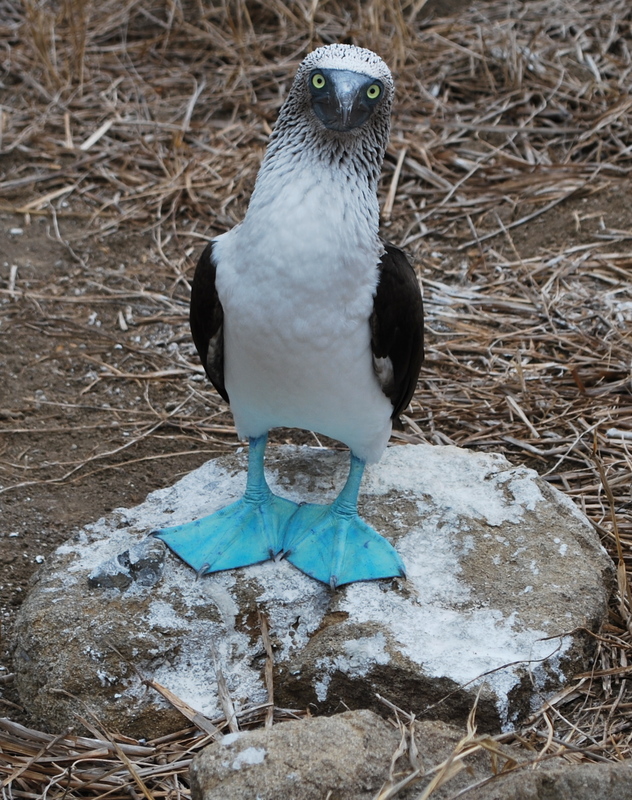 Things we now know to be true: Penguins walk like they’re wearing someone else’s flippers. Mariscos for sale, Achao, Isla Quinchao, off Chiloé, Chile. 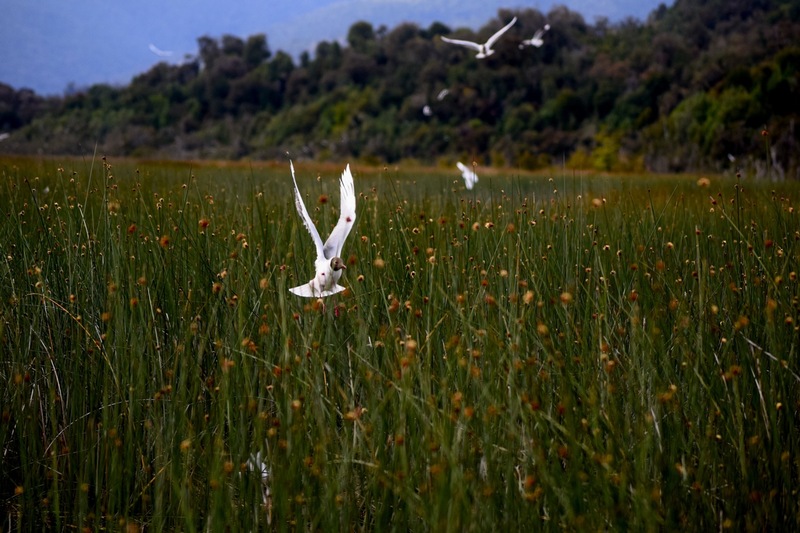 Brown-hooded gulls (gaviota cahuil) migrate to Chiloé for summer, and nest in reeds on the rivers. This one was getting a bit excited about protecting a chick in the nest below. Gathering seaweed for sale, Quetalmahue, Chiloé, Chile. The famous Chiloé dish of curanto is traditionally cooked underground, but these days is more often steamed in a large pot. Beach in north-west Chiloé, Chile. Sand dunes in Chepu, Chiloé, Chile. Isla Quinchao, off Chiloé, Chile. Dried mussels for sale in Achao, Isla Quinchao, off Chiloé, Chile. Gaudy church in Curaco de Velez, Isla Quinchao, off the island of Chiloé, Chile. Dalcahue port, Chiloé, as seen from our campsite – fishing boats and ferries to Isla Quinchao. It was a bit soggy when we arrived in Chaiten. Members of the Huilliche community make an income from collecting seaweed on the beaches of the Pacific coast, Chile. It was more than a year since we’d last been in Chile, and what a year it had been. The country is ridiculously long and skinny. 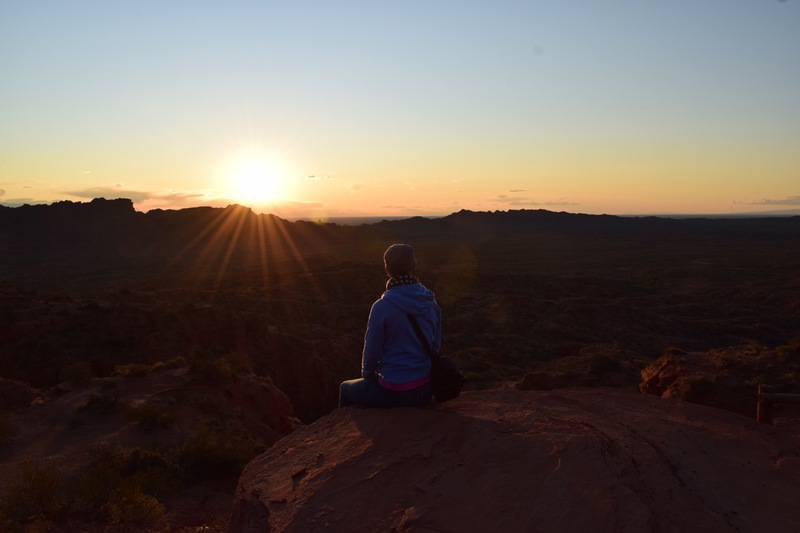 But not only did the northern Atacama desert seem like a million miles away in physical terms, mentally it was a whole world away – back in a time when we’d left our broken home in Ecuador and travelled there van-less, not knowing if we would ever get it back. Despite those problems, we’d loved the country then and were keen to get another taste. Shortly after my mum and dad returned home from their trip to Argentina, we stayed in the country for a few more days, doing a short dog-leg to El Bolson. As we went down in elevation, the spring flowers became even more riotous. Driving to El Bolson, Argentina, through a corridor of spring blossoms. 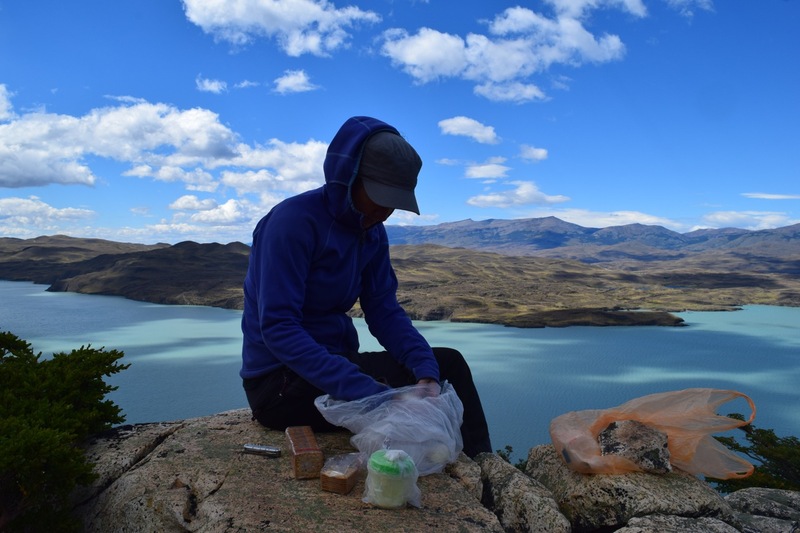 We camped at Lago Puelo and from a breezy mirador overlooking the lake, we could see Chile in the distance. We could see through the gap to Chile from Lago Puelo in Argentina. 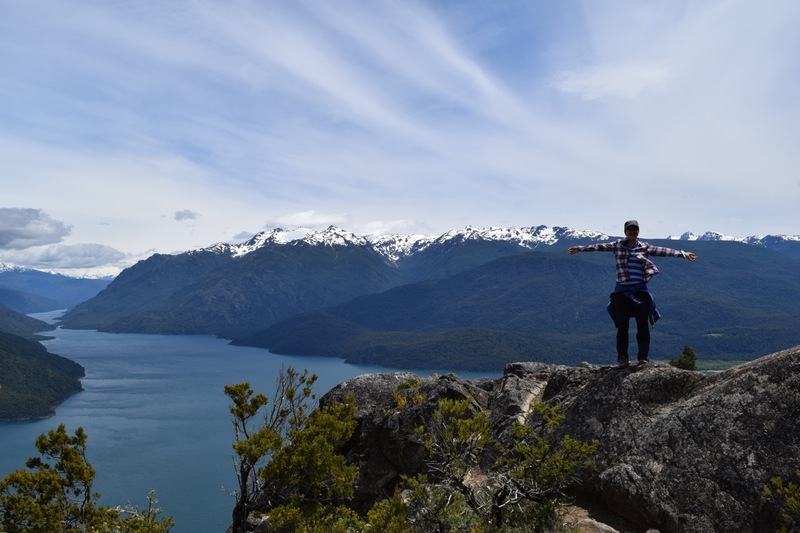 Soon after, we crossed the border at Pajaritos, taking us into the heart of the Chilean Lakes District and taking the van into the country for the first time. Not surprisingly, the area is choc-a-bloc with pristine lakes, rivers and volcanoes to be admired. 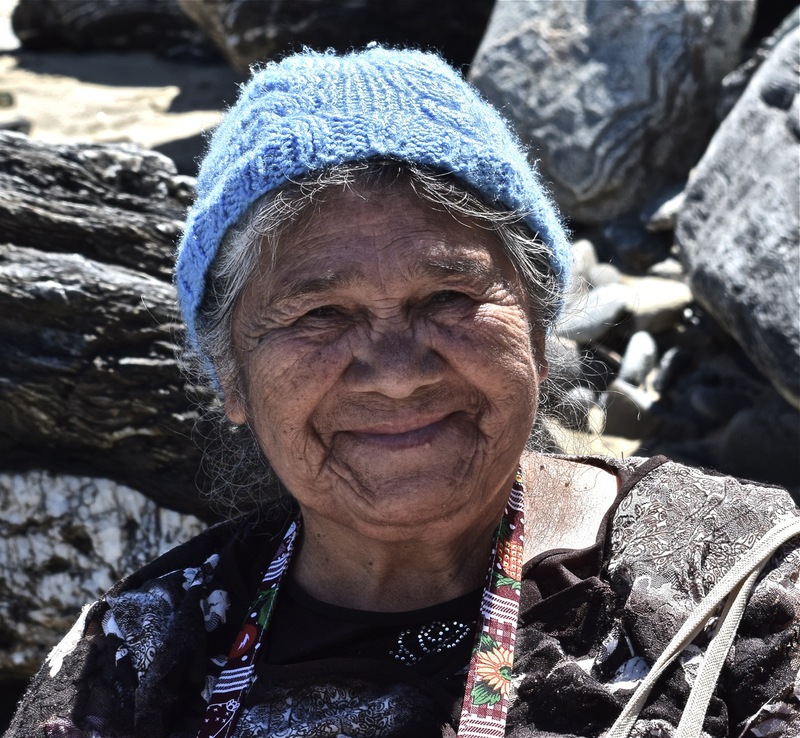 But first we headed due west to the Pacific coast, to visit a series of Huilliche villages, which are among Chile’s few remaining indigenous communities. Our previous experience of Chile’s coast had been quite bleak, so we were blown away to find places like this, and this, and this. Sunset beer spot next to our campsite in Maicolpué, Osorno, Chile. Not for the first time we found an obviously blossoming – albeit small scale – tourism infrastructure that seemed inexplicably dormant. Perhaps it was still too early in the season, but all the campgrounds, and facilities like brand new toilets and tourism offices, were closed. 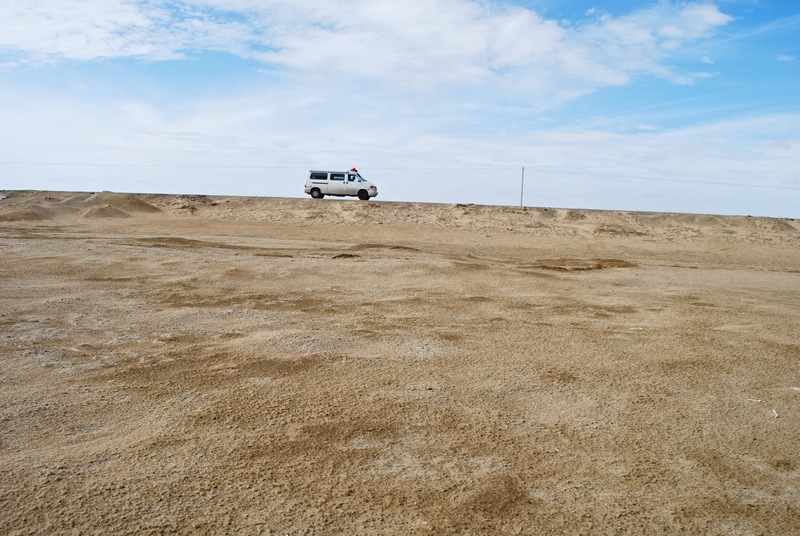 Luckily they weren’t very security-conscious either so – after checking with a local – we pulled into the closed campground at the foot of the sand dunes in the village of Maicolpué and used it as a base for a couple of days of exploration. From our peaceful spot we got our first proper sight of the cute colourful wood-tiled homes so typical of this part of the country, and couldn’t stop snapping photos of them. 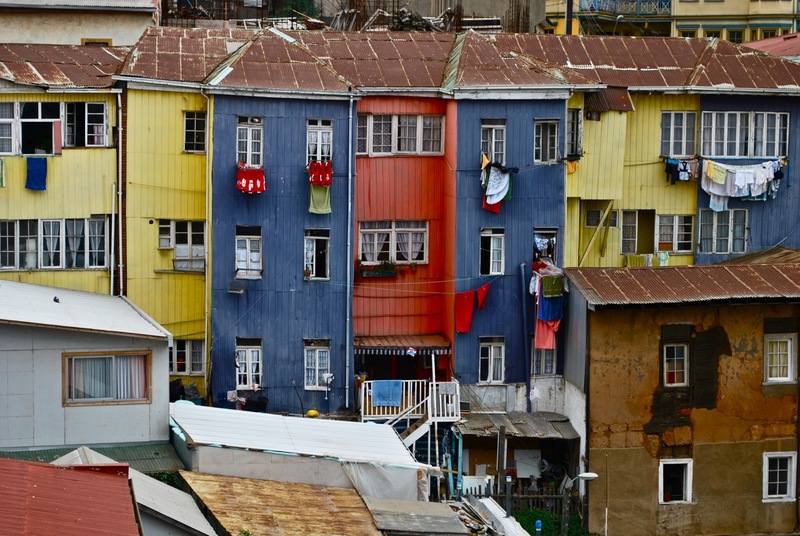 Colourful houses of Maicolpué, Pacific coast, Osorno, Chile. 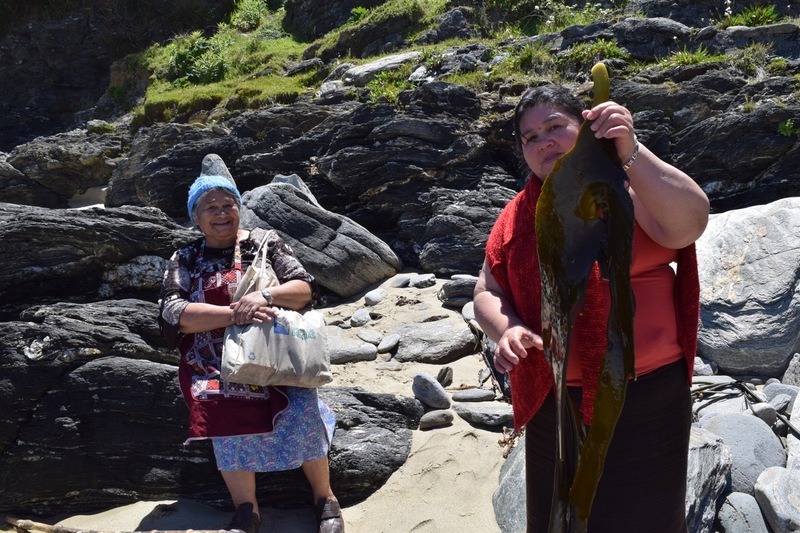 Trying our best to understand the accents, we chatted to the ladies on the beach who make a living from collecting and selling seaweed for use in cooking or sushi. We drove down the almost vertical road to Tril Tril and walked on a deserted beach, wondering if it ever got busy. En route to Manzano, juice dripped down our chins as we sampled one of the very best things about the Chilean coast – fried seafood and cheese empanadas that are so good they make you want to apply for residency. In contrast to the desiccated north, this region of Chile receives a very regular dumping of rain, with the summer months only enjoying ‘less wet’ weather than the winter. So we were braced for some tricky days, but they hardly ever arrived. “You’re lucky, make the most of this weather!” people kept telling us – and we did. We headed south again, along Lago Llanquihue, one of several areas that’s been visibly influenced by German immigrants who came in their thousands in the late 19th century. We kept doing double-takes at the Bavarian style architecture and signs advertising ‘kuchen’ and strudel for sale. It may have turned out to be the most expensive coffee and cake stop of the whole trip, but we did indulge just once. German cake and coffee house, near Puerto Varas, Chile. Strudel, cream, coffee = happy. 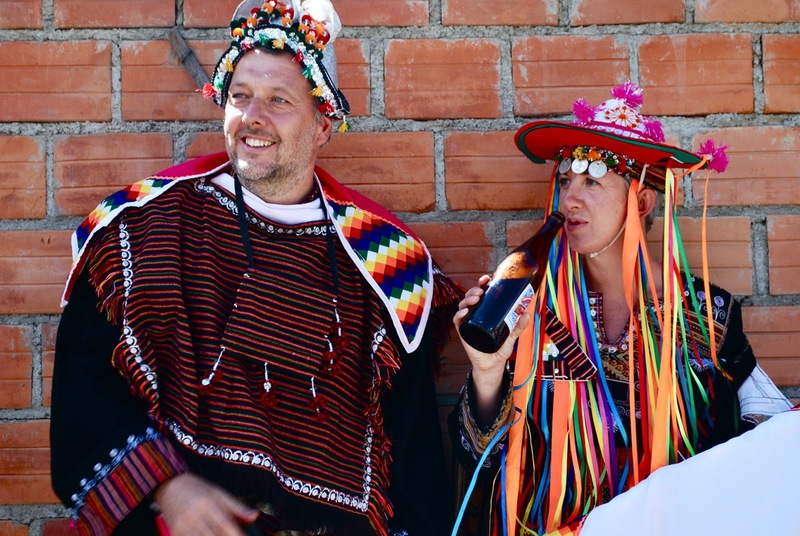 Taking in the German culture near Puerto Varas, Chile. 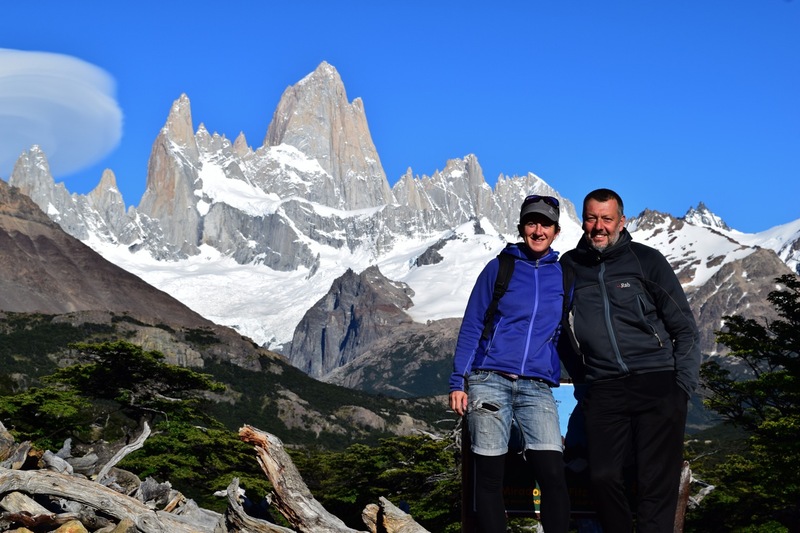 A major highlight of this leg was a stay in delightful Cochamó and a two-night trip from there to the ‘Chilean Yosemite’ at La Junta. Only accessible by horse or on foot, it truly was a gem. It had been ages since we’d been riding, so we opted to go up the valley by horse and then hike back down. We’re pretty inexperienced, so the rocky, muddy climb – involving several river crossings – was quite a thrill and a challenge for us. My misbehaving horse had a penchant for taking shortcuts that avoided the trail and went straight through dense bushes instead. Arriving with a wild look and a few more scratches – and twigs attached – than I’d set out with, I decided to put my application for Horsewoman of the Year on the back-burner for a while. The scenery in the valley was quite something – giant granite peaks that looked just like, you guessed it, a scaled down version of Yosemite national park in the USA. The trip to La Junta passes crystal clear waters and river beaches. We spent our free day there choosing one of the hikes to do in the area. 1. Where possible, we’ll almost always pick the hike that goes up high and gives a great view. 2. We’ll do totally inadequate research so that, every now and again, the above hike unexpectedly scares the living crap out of Jeremy (regular readers will remember his crippling vertigo). From the off the hike was very steep but was in a forest, so no frightening edges to worry about. Even the parts that involved pulling ourselves up using ropes didn’t faze Jeremy too much. Once we reached sections of exposed sheer rock, he started to feel a bit wobbly. As we so often have to do, I went ahead to check out the next section for scary bits. “I think you’ll be okay with that,” I said when I returned. Ten minutes later he was on his hands and knees, shaking, sweating and shouting “where the hell have you brought me? … ah! ah! argh!” and I realised I might have slightly misjudged it. 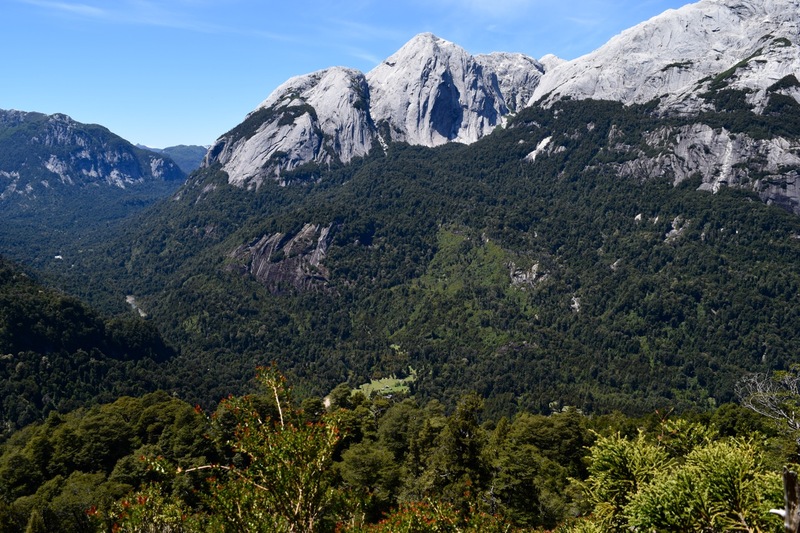 We were still in forest, but the knowledge that the trees were basically clinging to a rock face and the view of the sheer cliffs across the valley had sent him into a spin of dry-retching and panic. The exact same thing had happened to us on a hike in Yosemite! Damn. I walked on, and within a few minutes was thanking my lucky stars I hadn’t dragged Jeremy any further. I have virtually no fear of heights, but even my legs were jelly when I reached the first viewpoint from a ledge that had a worryingly spongy feel underfoot. It was worth it though! I carried on a little, marvelling at how close we seemed to have got to the tops of the granite peaks. The refugio’s buildings were a series of little dots below. Round the next corner I peered ahead to see where the path was. There was no path – just some ropes that disappeared under a hanging rock. I took that as my cue to quit while I was ahead, and go back to check on whether Jeremy’s fingers were still clamped around a tree root. My legs were shaking with excitement and tension when I got back. We slip-slod back down the hill and found a hot rock by a waterfall to rest and reflect. Phew. We’d arrived by horse, but to get back out of the area on foot we had to use an old-fashioned-looking – but very effective – pulley system to get across the river. No matter how old one gets, there are some things that just never stop being fun. Weeeeee! 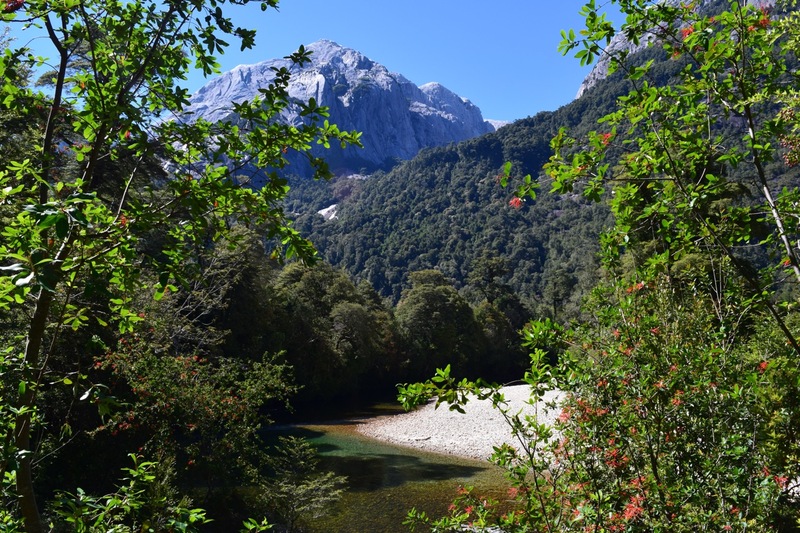 After the five-hour hike back down to Cochamó we drove south to Puelo and luxuriated in the steaming shower at a lovely campground in the village. For Jeremy’s birthday we asked at the only local restaurant if it would be open the following night. Consistent with the kind of ‘half shut’ feel of everything at this time of year, they said they’d be open if we told them what we wanted to eat beforehand and promised to come. 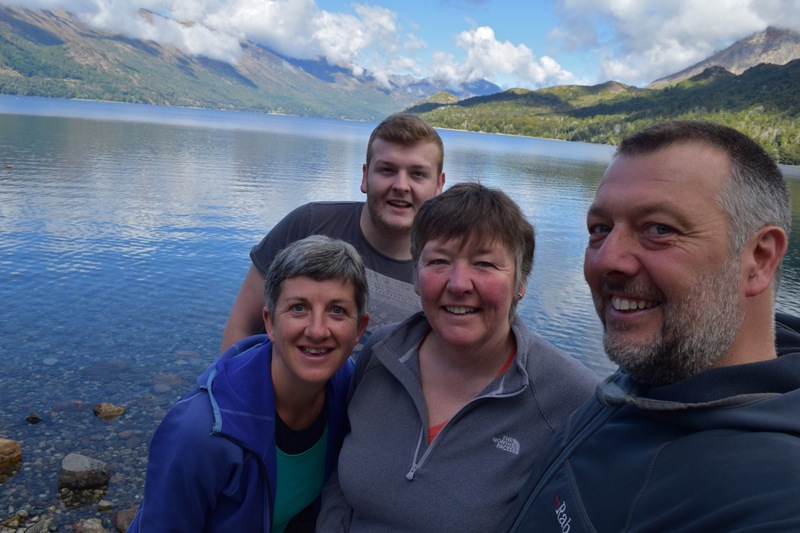 We ordered Patagonian lamb and took off for a night of bush camping at nearby Lago Tagua Tagua, and a ferry ride to the other end of the lake. After a hot dusty hike we hitched back to the port and shivered on the chilly boat journey back. Keeping warm on the ferry ride back along Lago Tagua Tagua – Jeremy’s 48th birthday. We set off down the coast again the next day, and took a little ferry north towards Puerto Montt. The black skies were more characteristic of the Lakes District we’d read about. Besides, perhaps it was good preparation for the next stage. After a few days we’d be heading towards the island of Chiloé, which has an almost year-round climate described as ‘misting or raining’ when it’s not ‘sprinkling or drizzling’. Would our luck hold? We’d been pretty spoiled up until now, but it was time to man up, dig out the raincoats again and head into the mist. Things we now know to be true: Seafood and cheese, together in an empanada. So wrong, yet so right. Lago Puelo, Argentina – with the Chilean end of the lake visible in the distance. Crossing the Argentina-Chile border at Pajaritos. 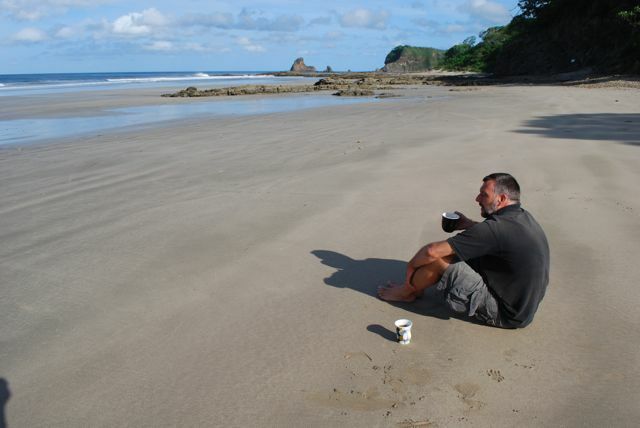 Stray dogs just love Jeremy – here’s one befriending him at our campspot by the dunes in Maicolpué, Chile. The steep road to Tril Tril, Osorno, Chile. Women returning home after collecting seaweed in Maicolpué, Osorno, Chile. Collecting seaweed for sale provides an income for Huilliche communities on Chile’s Pacific coast, near Osorno. Can’t resist a playful pup! Pucatrihue, Pacific coast, Osorno, Chile. 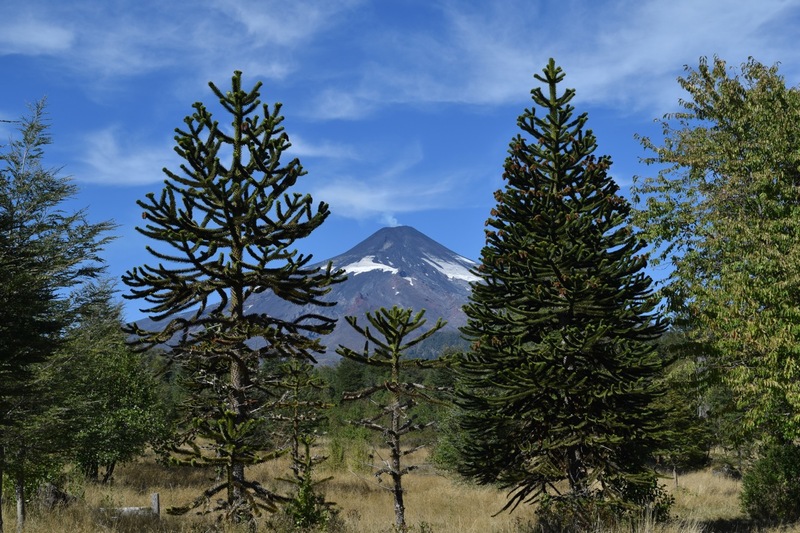 We spent a couple of days driving around the villages of the Pacific coast near Osorno, Chile. Mass on Sundays at 3pm – village church en route to Manzano, Osorno, Chile. Offering camping, information and wi-fi…who are you kidding?! Looked like it hadn’t opened in years. Pucatrihue, Osorno, Chile. Aperitif time at Lago Llanquihue, Ensenada, Chilean Lakes District. 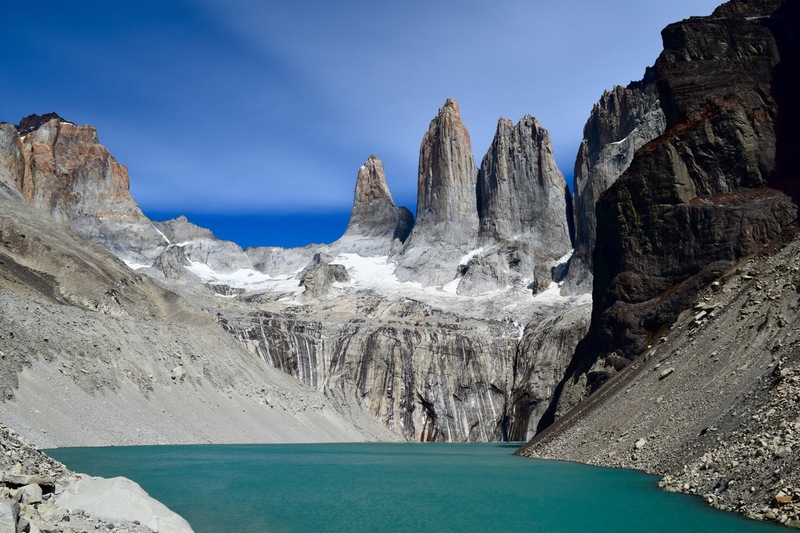 The delightful Cochamó, Chilean Lakes District. Jeremy shows off his equestrian skills as we arrive at La Junta, Chile. 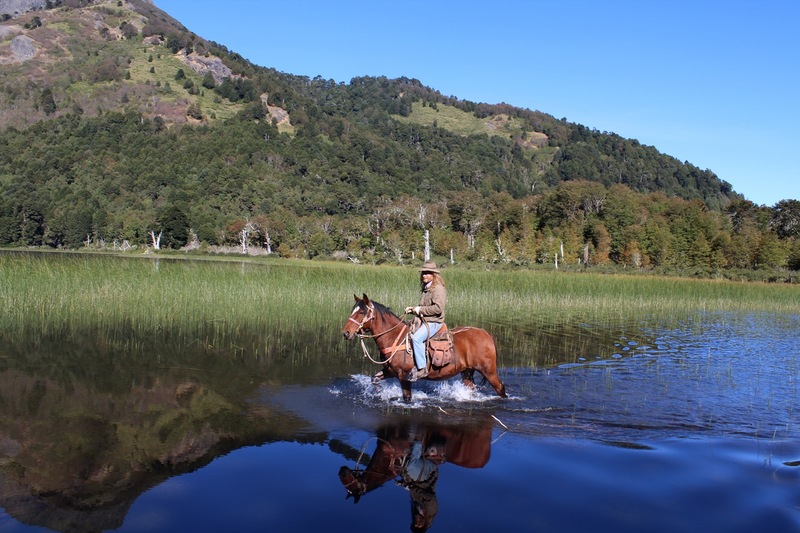 A serene moment for my rebellious steed – riding to La Junta, Cochamo, Chile. Enjoying the ride to La Junta, with just a smidgeon of trepidation! La Junta at dusk, Chile. Jeremy strikes a dashing pose in his welly boots, La Junta, Chile. Indiana Jones eat your heart out – using ropes to help us up the steep slopes towards Arco Iris, La Junta, Chile. 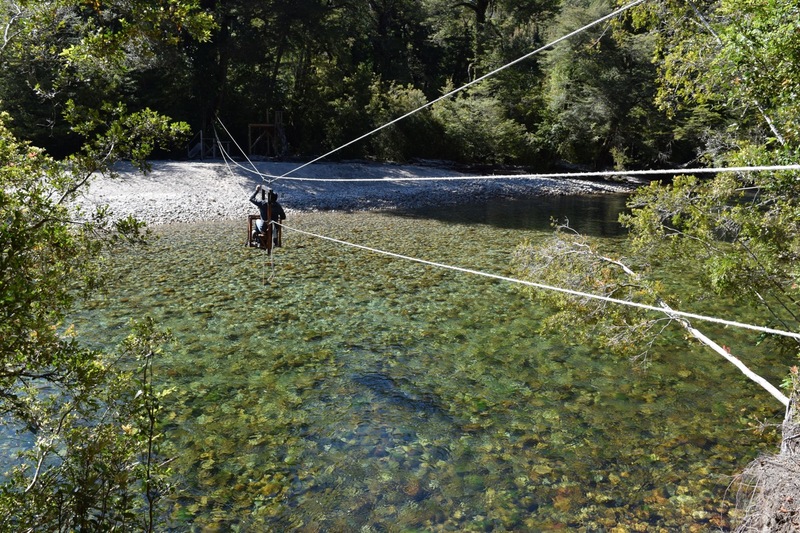 We had to use this pulley to cross the river to the refugio at La Junta, Chile. Crystal clear waters on the hike back from La Junta, Chile. We missed the rain, but the hike from La Junta was still extremely muddy. One of many river crossings on the hike from La Junta back to Cochamó, Chile. Sunset view from our campsite in Puelo, Chilean Lakes District. The dirt-road driving around the Rio Puelo area has some stunning views. Waiting for the ferry across Lago Tagua Tagua, Chilean Lakes District. 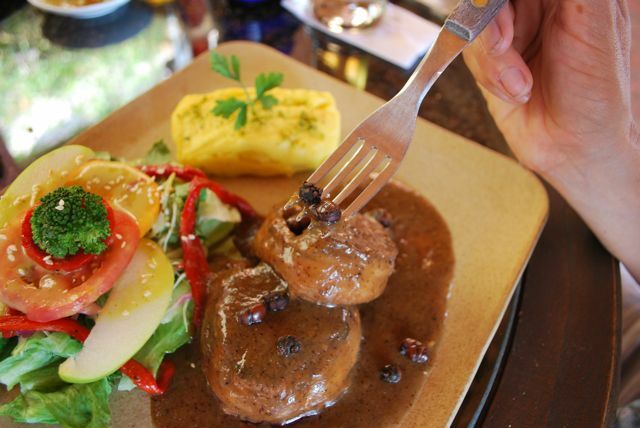 Chile’s own style of dense kneaded bread, pan amasado, is ubiquitous. 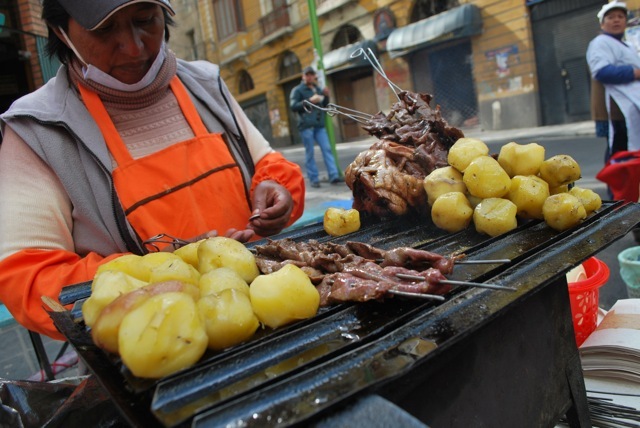 Roasted Patagonian lamb with potatoes and salad, for Jeremy’s birthday in Puelo, Chile. Lots of dusty dirt roads for the van in Chile. We spent a day trying to decide where to go for the last portion of my brother’s visit. We could still make it to Peru for some trekking? Maybe pop over to Argentina? After Derek left, Jeremy I were either going to be scooting back up north to Ecuador to collect our van (remember the van? 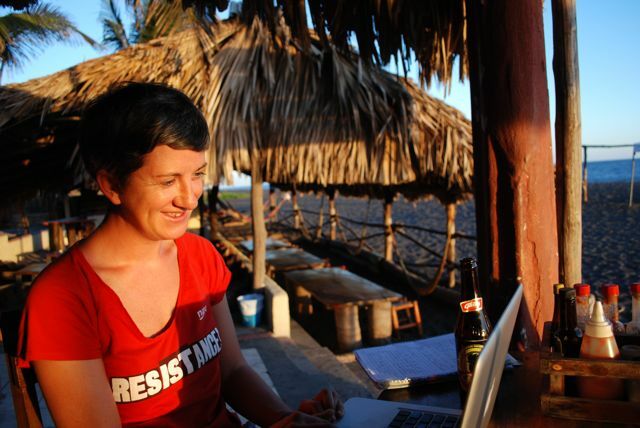 ), or heading directly to Bolivia to begin a voluntary work placement we’d set up, which meant the most illogical thing to do would be to head south again. 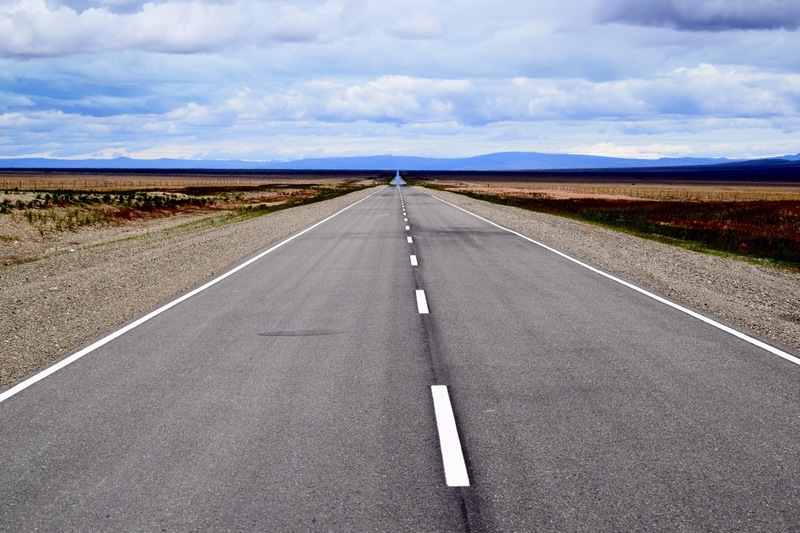 Let’s hire another car, we said, and drive south to Santiago – it’s only 1,670 kilometres (1,012 miles) each way! We were getting to know this Atacama Desert road pretty well. A bit under-prepared on the provisions, we pulled into a little roadside posada for dinner before pushing on for our second visit to Pan de Azucar national park. 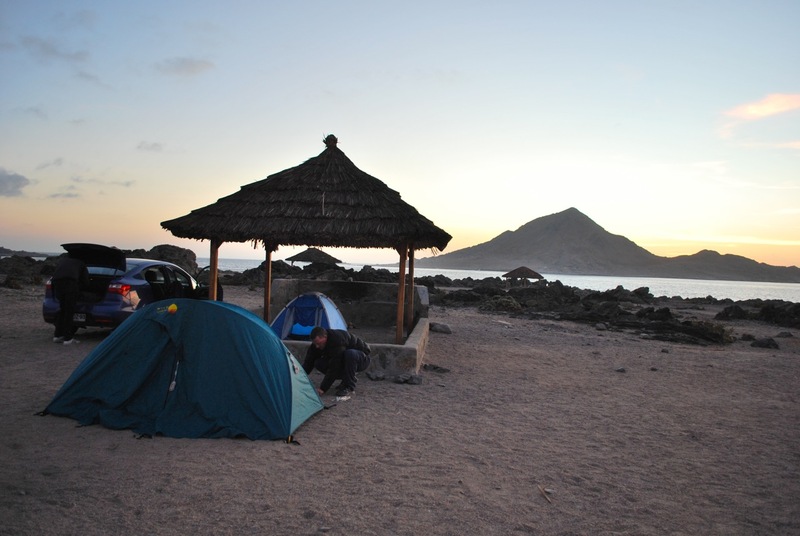 We pitched our tents as the sun set behind the island, then settled in for a night of, well, not very much. So disorganised had we been that we only had one can of beer and a handful of sweets for entertainment. But it’s amazing what you can do with nothing. We trawled the site for wood, lit a fire and shared the can. Rock ‘n roll! Setting up at sunset, Pan de Azucar national park, Chile. Then Derek did his best Bear Grylls impersonation and showed us you can boil water in a paper (yes, paper) cup on the fire. Most exciting cup of coffee I’ve ever had! If we can make a cuppa from nothing, we can survive anything. We left early the next morning and pulled into Chañaral for one of Chile’s best any-time-of-the-day snacks, a hulking great steak and avocado sandwich. Happy 14th wedding anniversary to us! Another long day of driving, and several gas station coffees later, we made it well south of La Serena and into new territory for Jeremy and me. We had high hopes for a campsite called Termas de Socos, which reportedly had natural hot thermal waters. We pulled into an empty, very locked, campsite. Bugger. We took our unwashed, rather unpleasant looking, selves into the very posh hotel next door to ask if they could help. They phoned the campsite owner who came down and opened it for us – an entire, massive campsite to ourselves! The ‘thermal pool’ was empty but the bonus was that the owner also ran a restaurant just up the road. Anniversary campfire! Termas de Socos, Chile. We pitched the tents and headed straight up there for a totally delicious – and cheap – dinner of roasted goat and ribs with the most orgasmic mashed potato in history. Back at the tents, Derek went into full pyromaniac mode with the campfire, and we willingly colluded. The music was cranked up, and the more we drank the more outrageous the fire got. Luckily no one was around to hear the singing. On our wedding day I’m not sure what we thought we’d be doing 14 years hence, but it probably wasn’t that. Next morning we found the perfect antidote to a hangover and a few days without a shower. 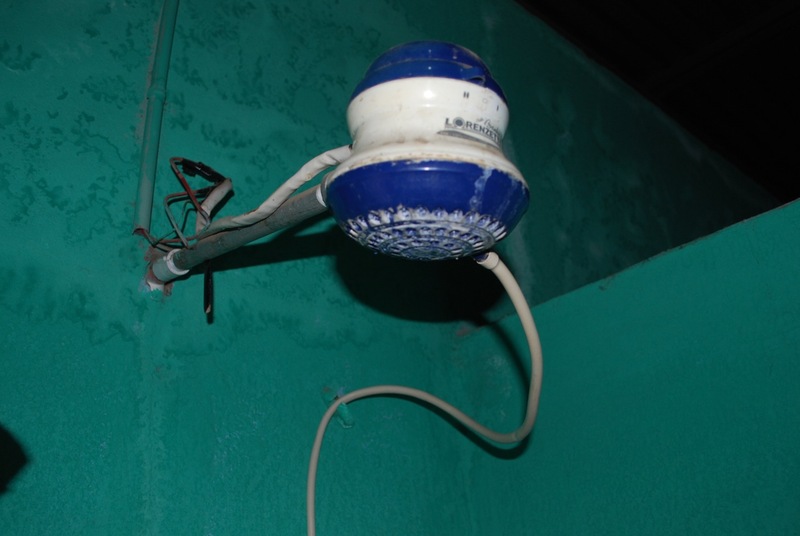 The very posh hotel next door rented out natural hot baths – bingo! We each got an individual room with a huge bath and unlimited hot water. Ahhhhhhh. Three squeaky clean, slightly wrinkled, bodies climbed back into the car and headed for Valparaiso. We were amazed we easily found our B&B in the city’s crooked, windy, unbelievably steep streets. From our room we had a fantastic view over the bay. We spent three nights in this kooky, artsy city which is part grimy and edgy, part pretty and funky. One of the most remarkable things about it is that seemingly the entire city has been, willingly, given over to graffiti art, murals and brightly painted buildings, which makes for some great aimless street-wandering. Derek and I took the ascensor (while Jeremy took his vertigo for a steep walk) up to the Cerros Concepcion and Alegre district, where we shopped, then ate the thickest seafood chowder known to man. We visited the late, uber-famous, Chilean poet/activist/politician Pablo Neruda’s fabulous home and mooched round the city’s ornate cemetery. Having not quite adjusted to Chile’s late night culture (band starts at midnight, what?!) we heroically managed to prop our eyelids open to watch some sublime live music – the mesmerising, accordion-wielding, gypsy-jazz-salsa singer Pascuala Ilabaca and her band Fauna. Fish galore at the Mercado Central, Santiago. 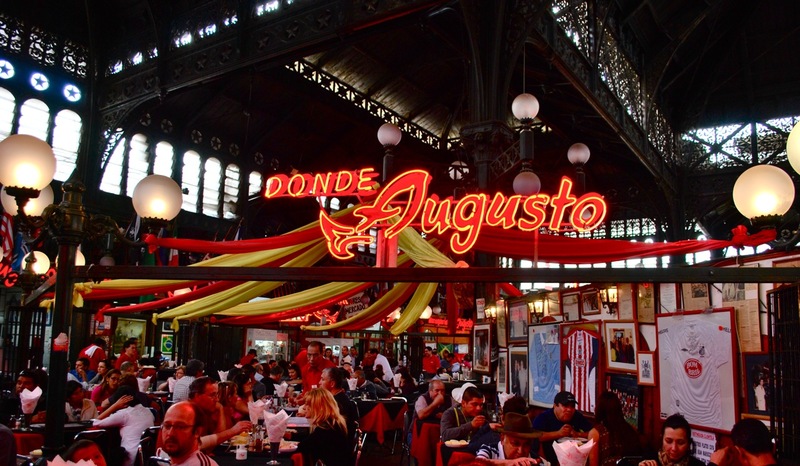 Derek’s final stop in Santiago was brief, but not too brief to visit the famous Mercado Central, a vast and chaotic emporium of fish sellers and fish restaurants. We sampled a few dishes – king fish, eel and merluza – while watching several of Santiago’s upper echelons order king crabs at well over US$100 a go. The waiters delivered them with a flourish, as everyone watched and took photos, which was presumably the reaction they were hoping for! We left enough of a gap before scoffing ceviche and one of the best tres leches cakes ever encountered, at bar The Clinic – the official bar of Chile’s political magazine of the same name. 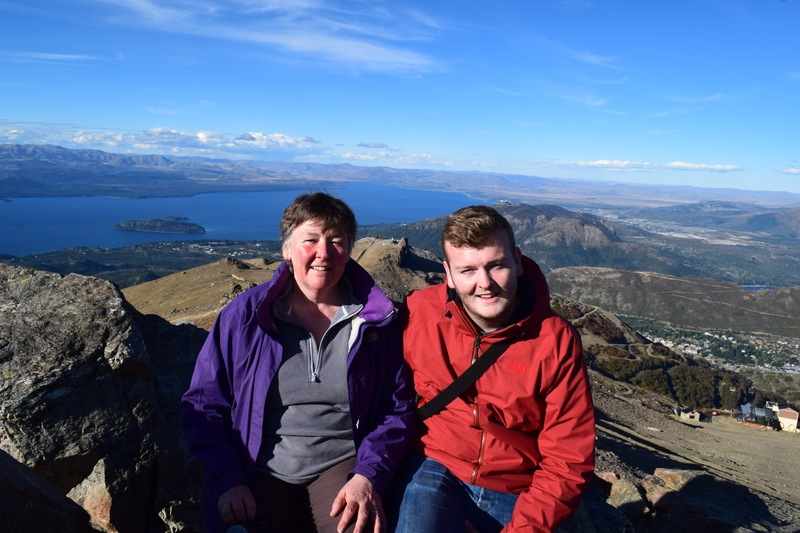 The following day was a repeat of That Horrible Goodbye, as Derek took off back to Scotland and his wife Fiona and kids Skye and Finn – who had kindly loaned him to us for a while. Hasta luego hermano! 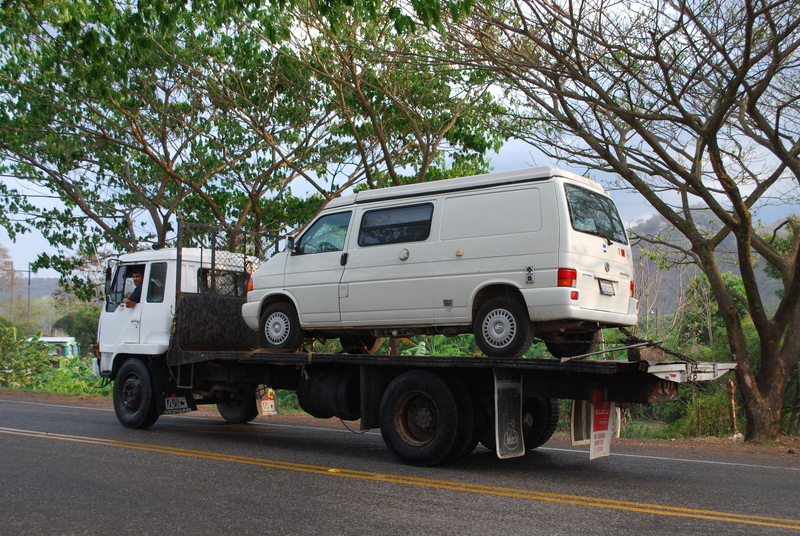 We’d been hoping we could dash back to Ecuador, collect the van, and make it (almost) on time to Bolivia, for the work project we’d organised. 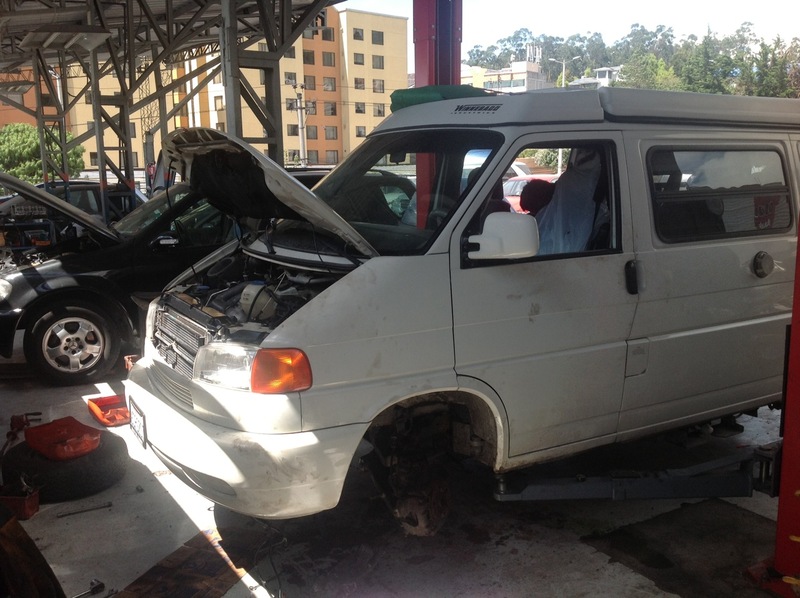 But while the mechanic had managed to source and install a manual gearbox in the van, there was still an issue with the computer understanding what the heck was going on, and a part had been ordered from Germany to try to resolve it. 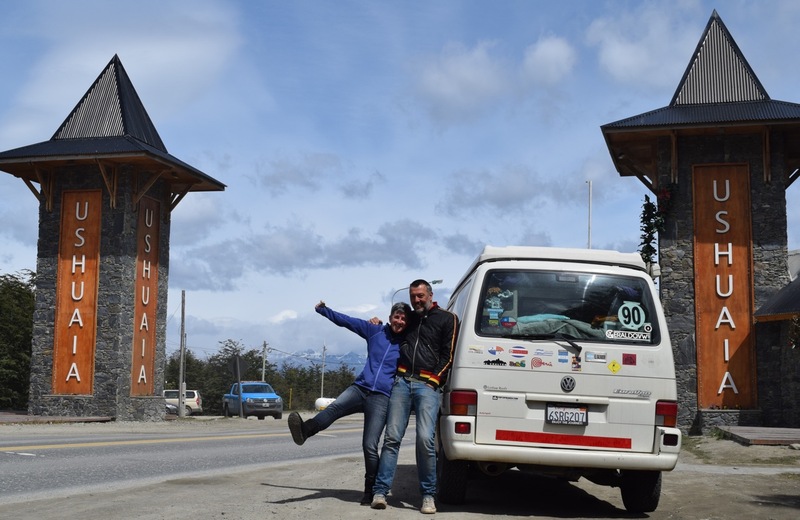 We didn’t see the point in going back to Ecuador to wait around, when we had something great lined up in Bolivia, so we decided to head straight there and worry about the van once it was fully repaired. 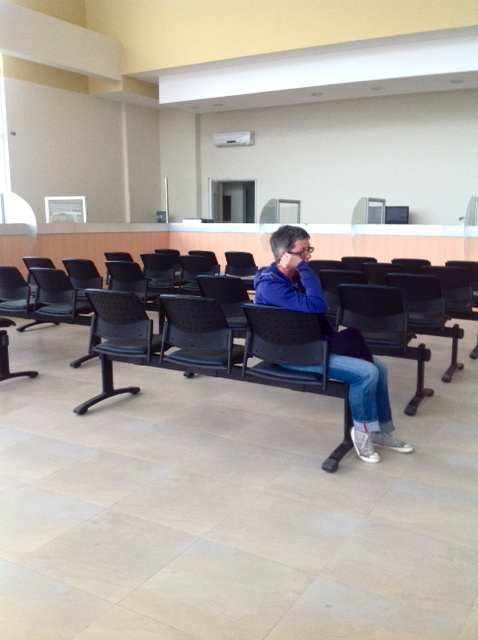 First we had to return the hire car in Calama. We bombed it back up north in a long two days. 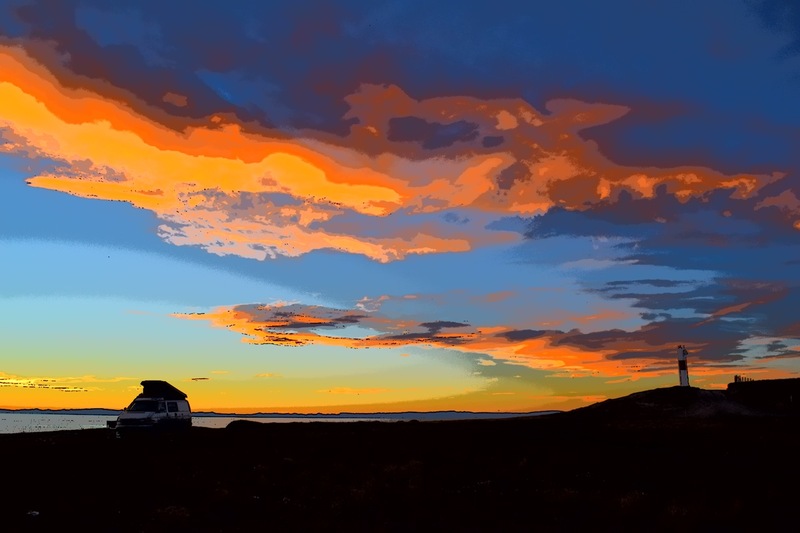 The journey included an epic search for somewhere to camp or lodge near Antofagasta, on the coast. All campsites turned out to be closed or too rough-looking to contemplate. We searched nearby coastal ‘resorts’ which turned out to be more of those creepy half-abandoned encampments we’d seen before. When we enquired about camping or staying in cabins were told everything was ‘closed for maintenance’. All lodgings in the town of Mejillones were booked out with miners – we almost got desperate enough to ask in a dire-looking dosshouse. But one look at the way the plastic ‘garden’ furniture was chained to the fence outside gave us pause to reconsider. Sometimes there’s nothing else for it but to give up and wind back the driver’s seat. 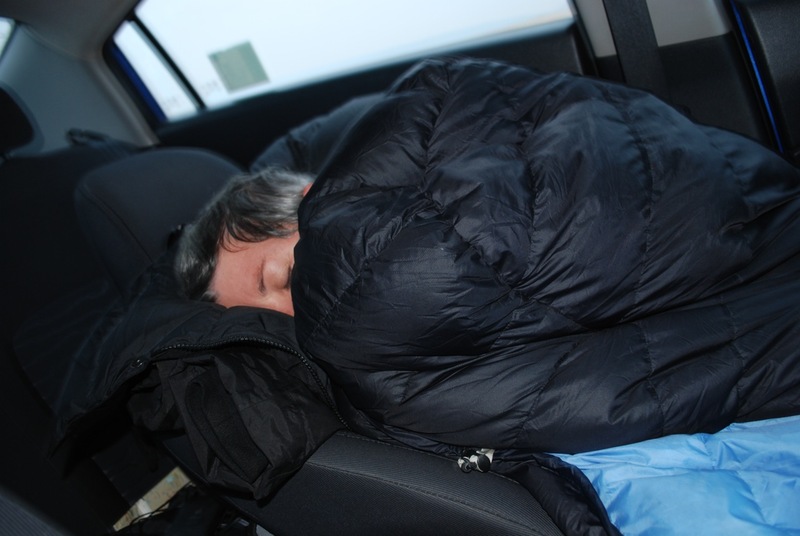 We found a posh hotel a few miles away, parked on the edge of their property and slept in the car. Oh what crusties we have become. Things got creepier the next day when we took a different route up the coast and, in the early morning fog, came across a baby cemetery right on the beach. A huge area was filled with Victorian-style wooden cribs, most of which had cuddly toys tied to them. Some of the graves were 100+ years old, but most of the toys were quite new. There are some great things about Chile’s northern coast, but some of it is just damn weird. 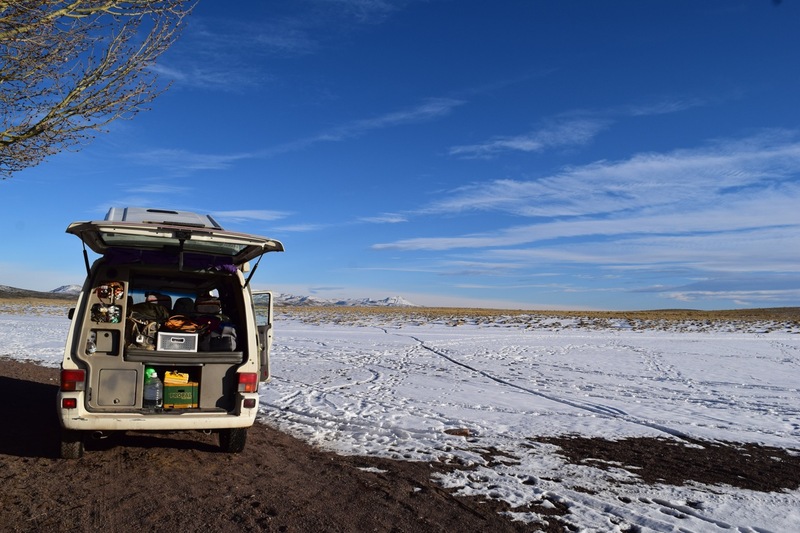 We headed on to Calama, and delivered the car before setting up camp for a couple of nights to sort ourselves out and prepare for our big project in Bolivia, where we hoped to stay for up to six months. After that we’d resume the trip south towards Argentina, but for now, the next chapter awaited. Things we now know to be true: You can boil water over a fire using a paper cup. Honestly. Giant hand sculpture, Atacama Desert, Chile. Searching for firewood, Pan de Azucar national park. Making a cuppa on the fire. Setting up camp, Camping Termas de Socos, Chile. DJ Jeremy plugs the Apple into the, erm, tree and gets the party started. What else can we throw on there! Campfire, Termas de Socos, Chile. Very little goes unpainted in Valparaiso, Chile.